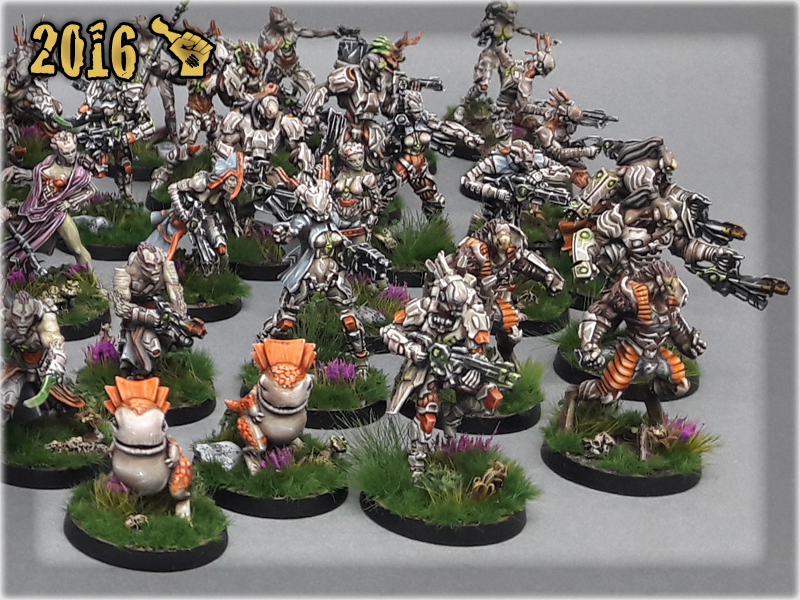 A big collection of Infinity TOHAA for one of my friends. 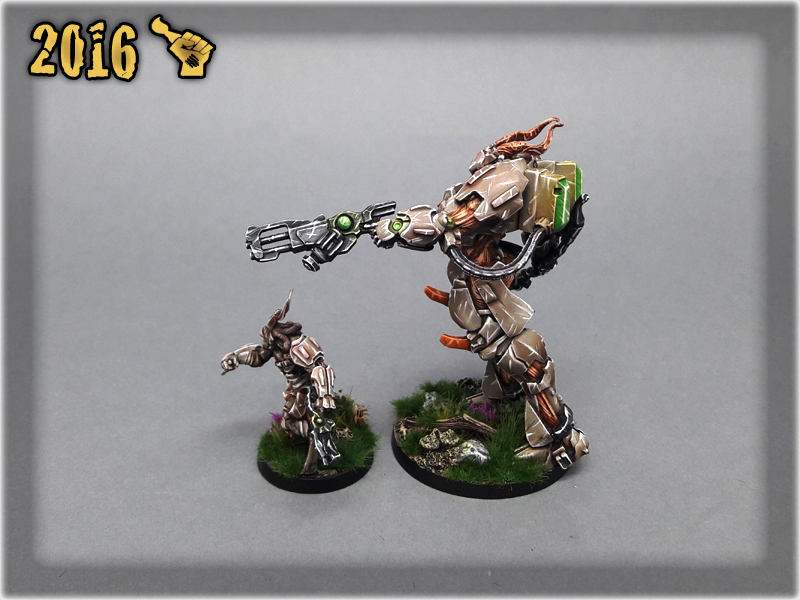 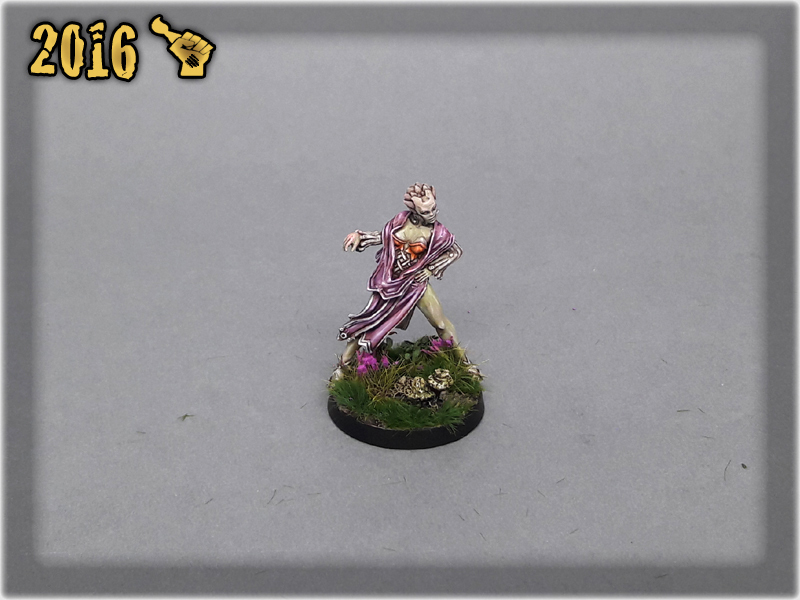 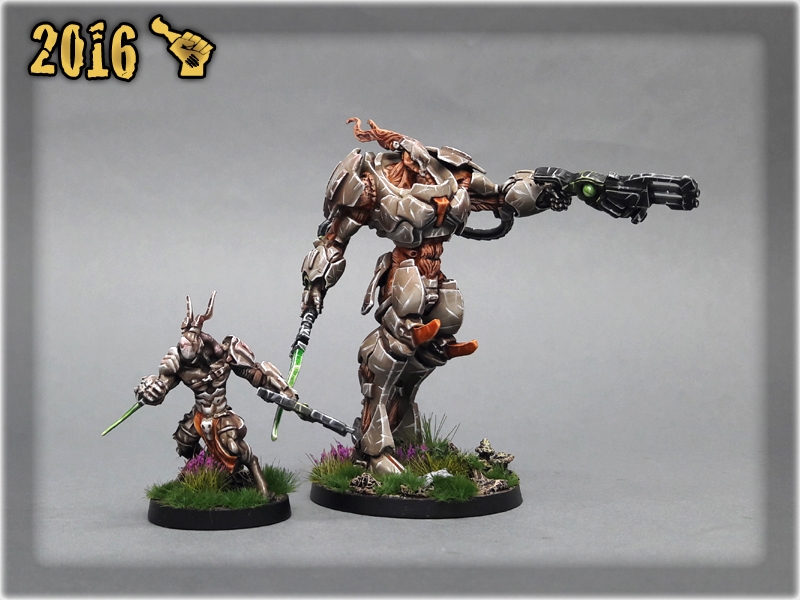 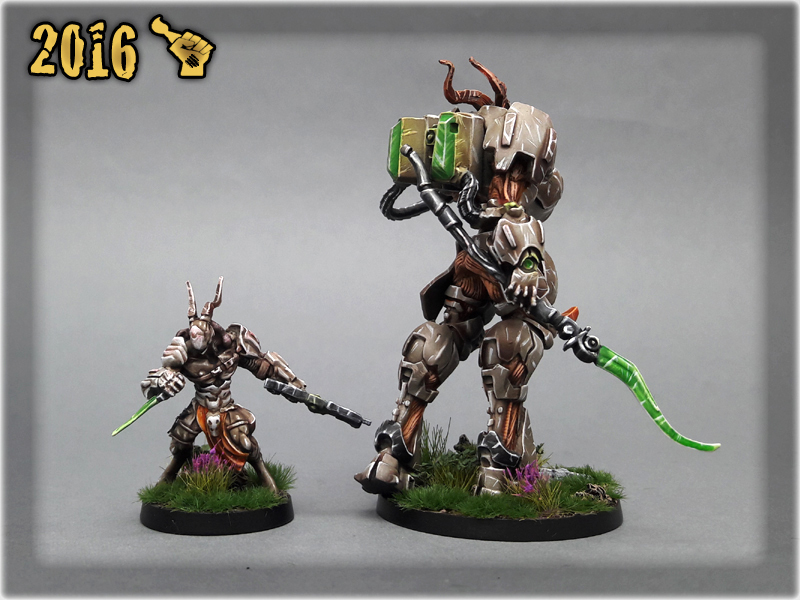 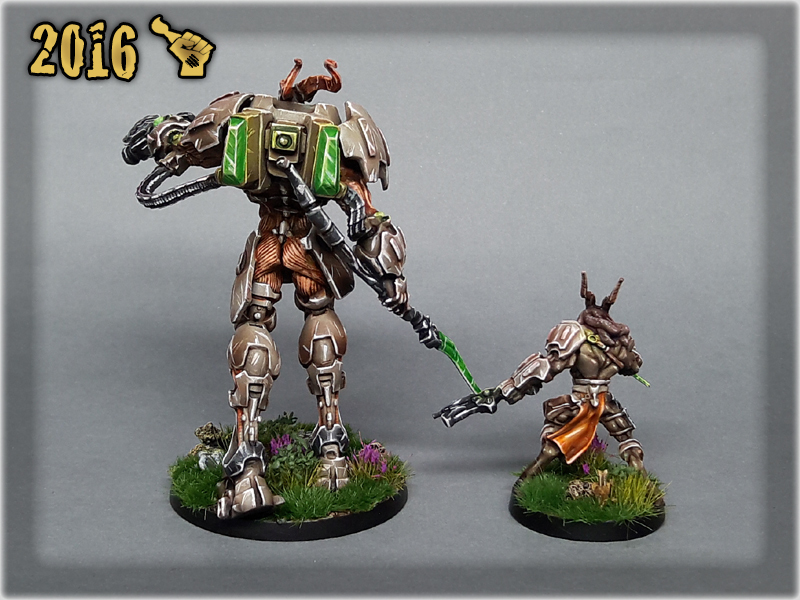 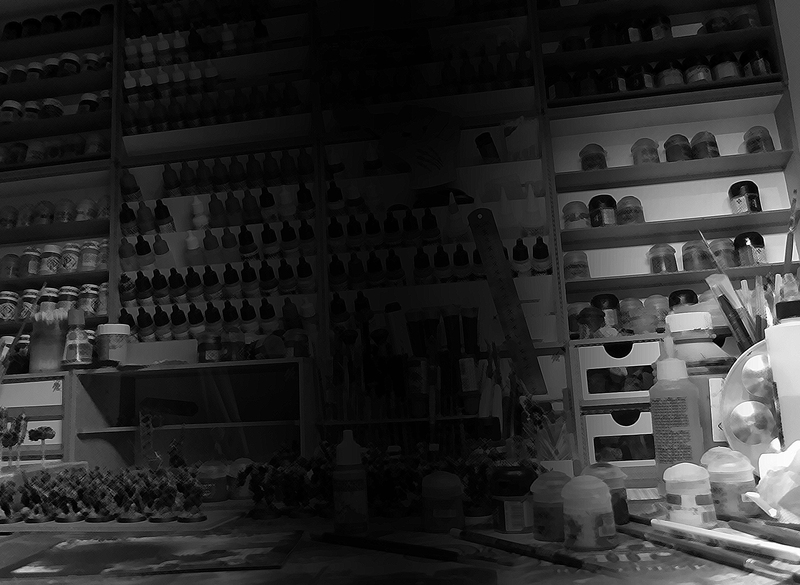 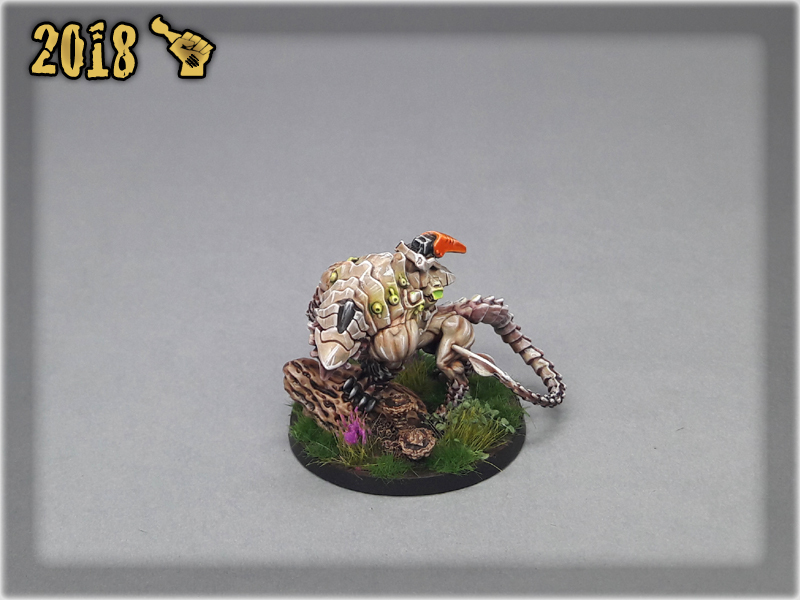 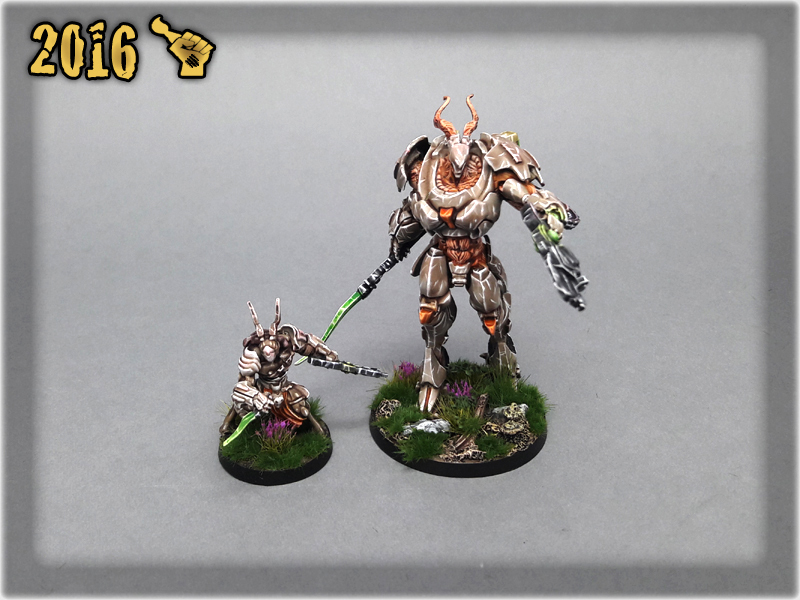 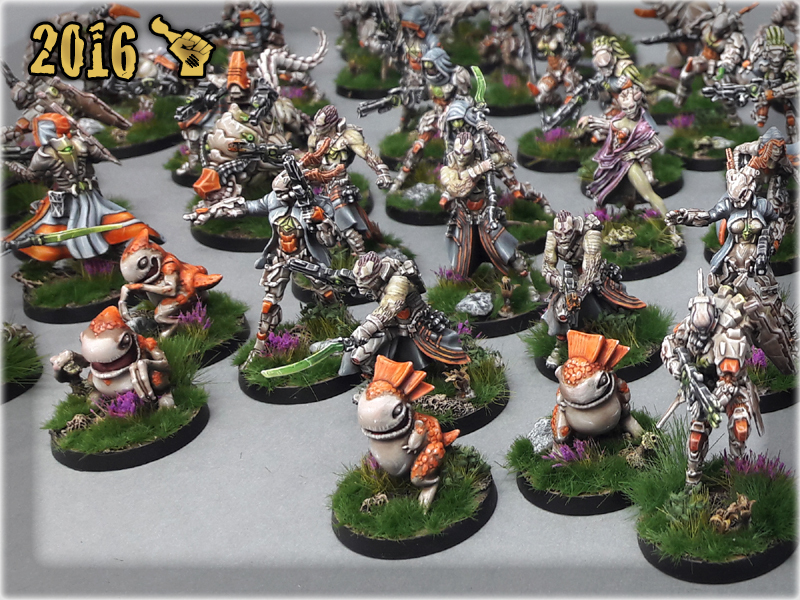 This collection includes almost every available TOHAA miniature and is themed with some of my best colour recipes. 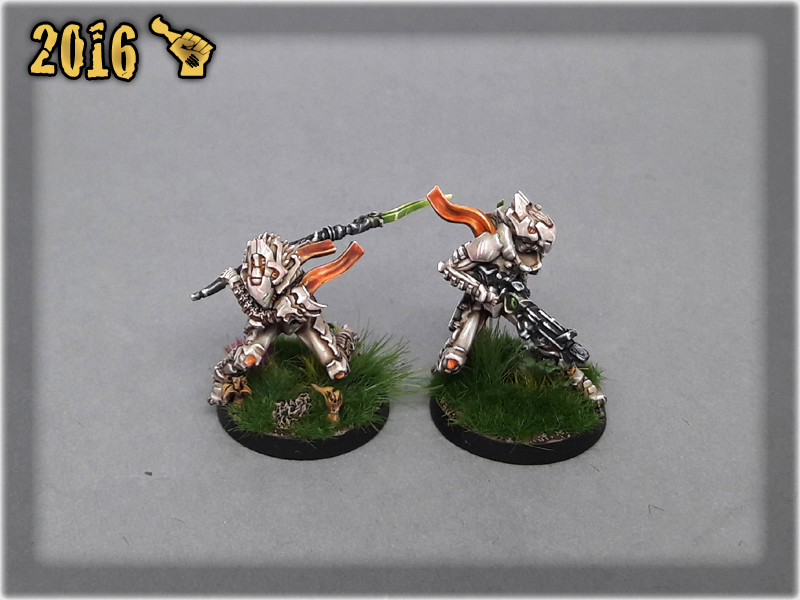 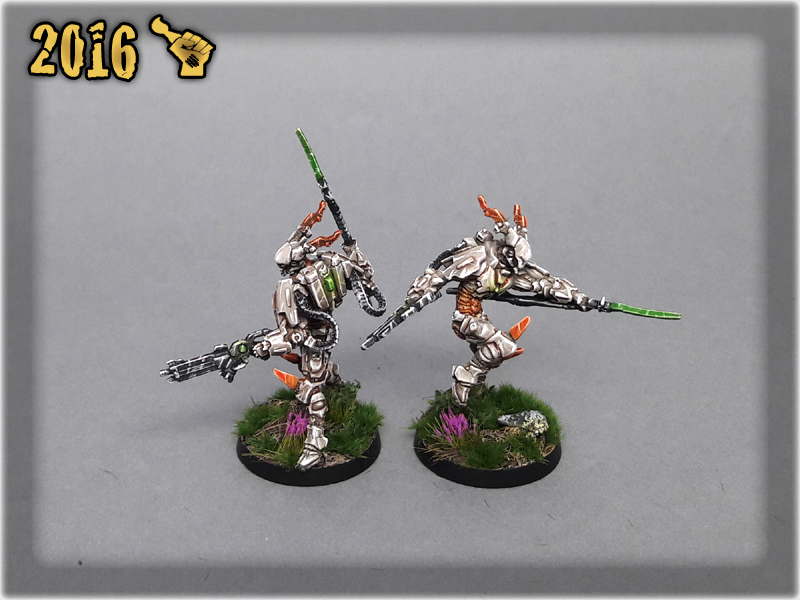 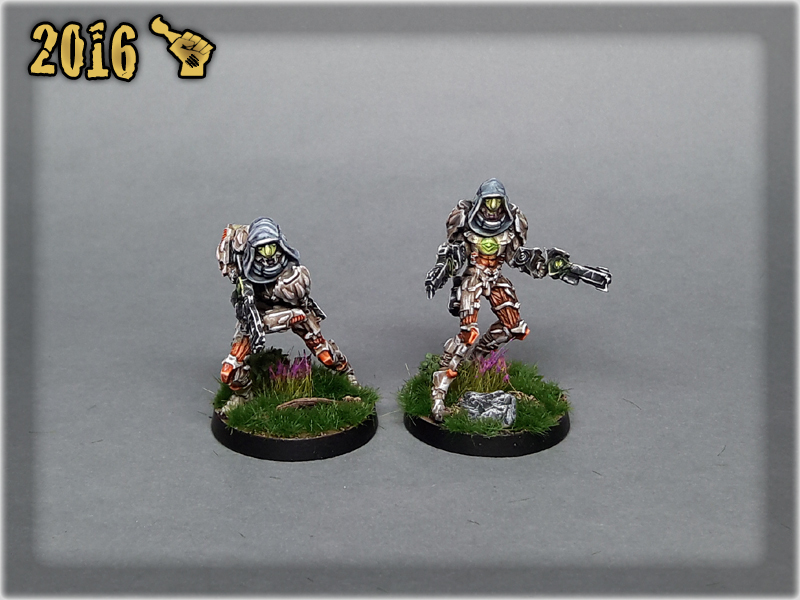 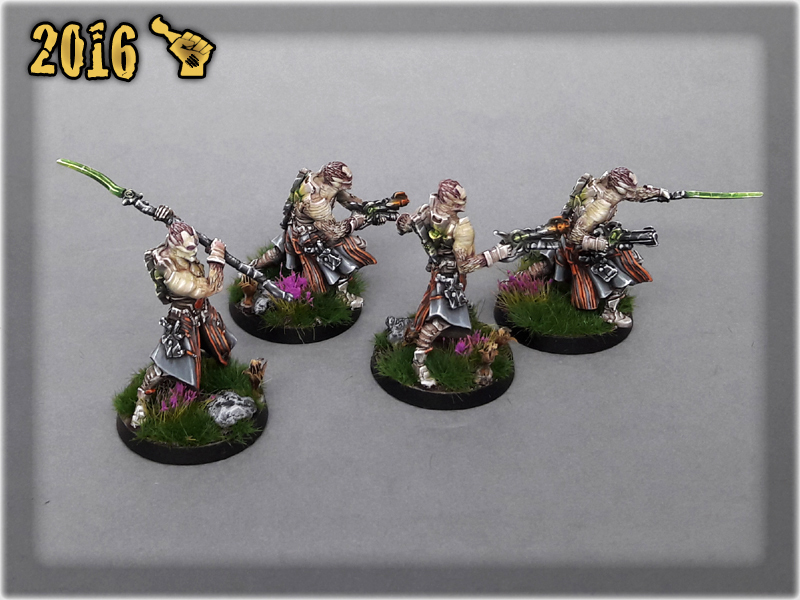 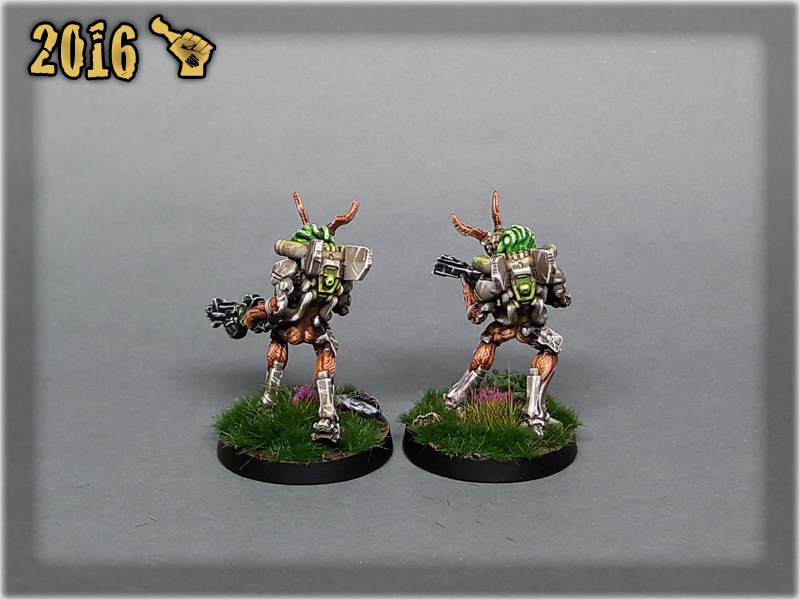 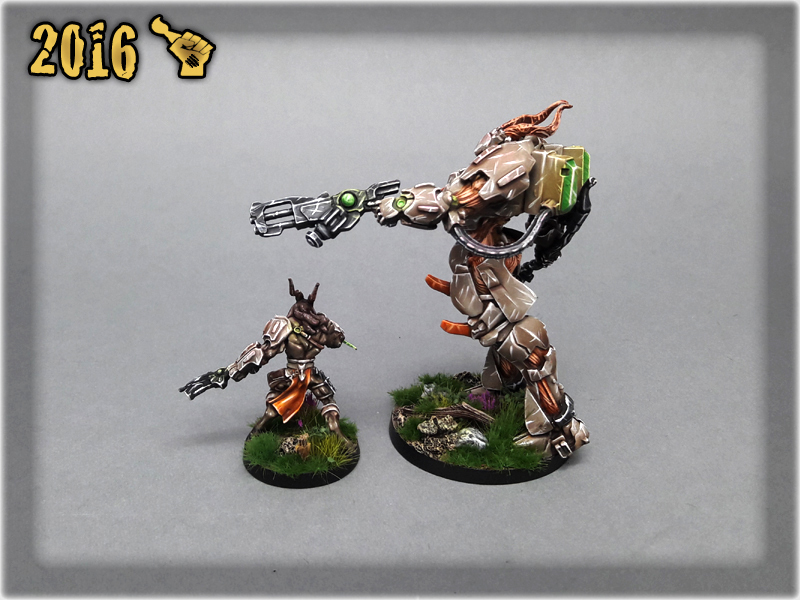 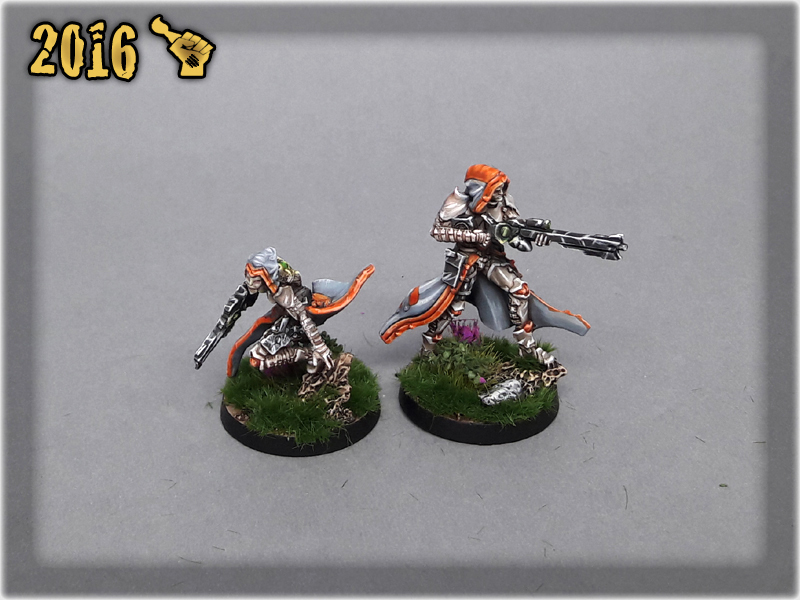 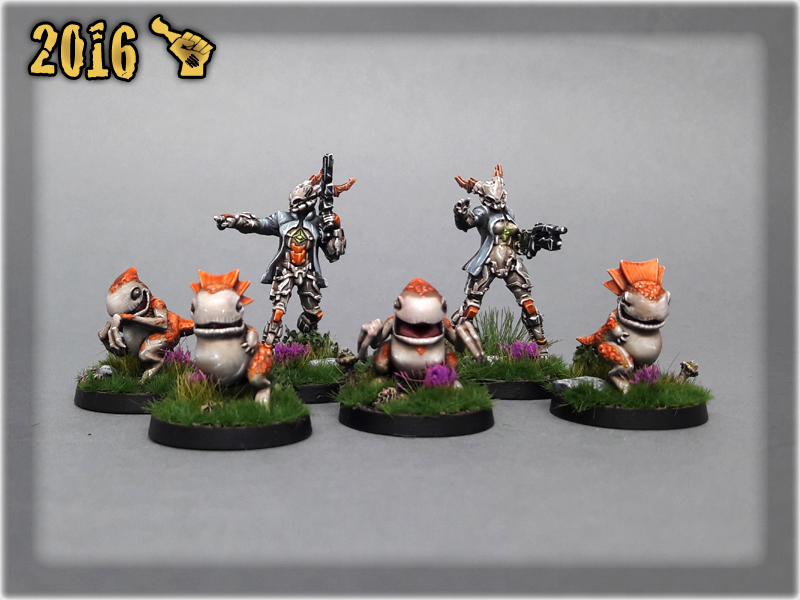 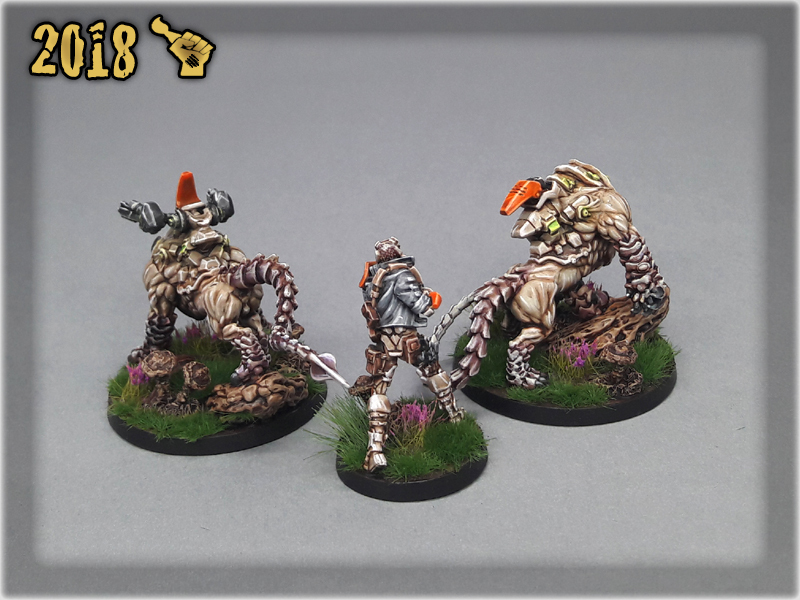 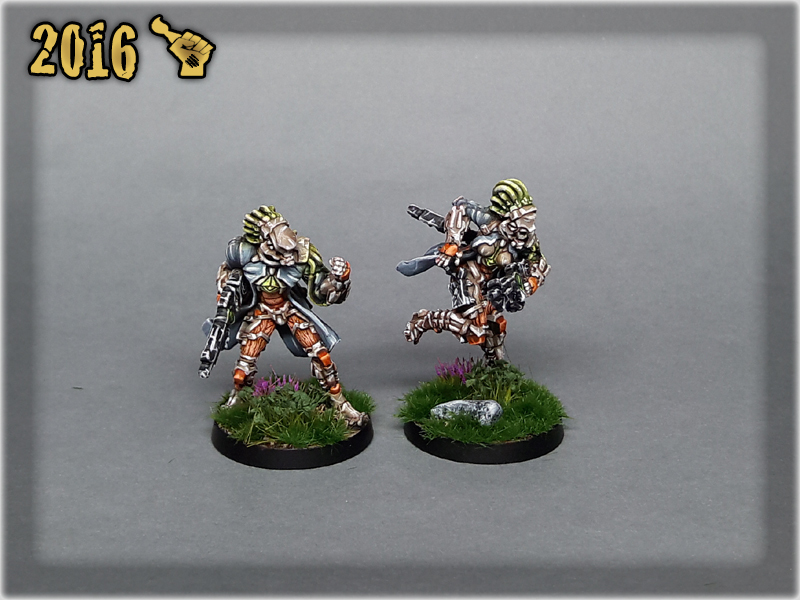 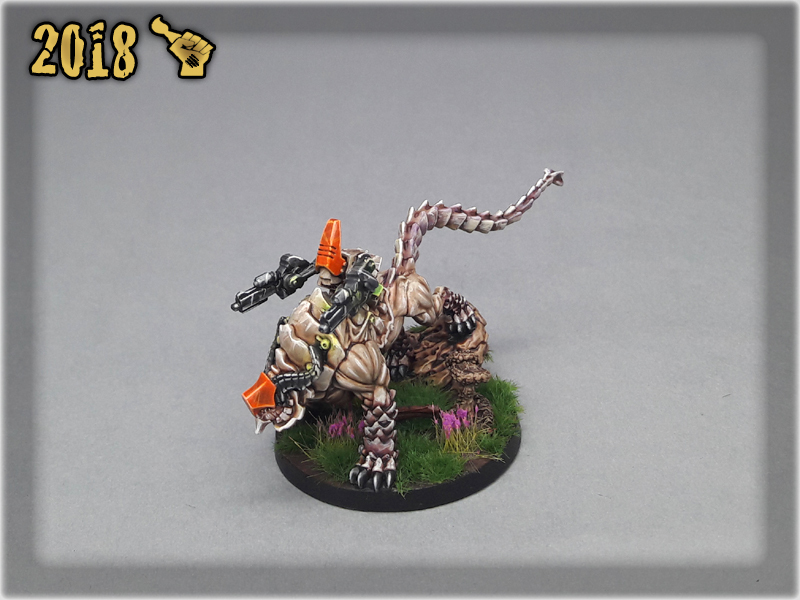 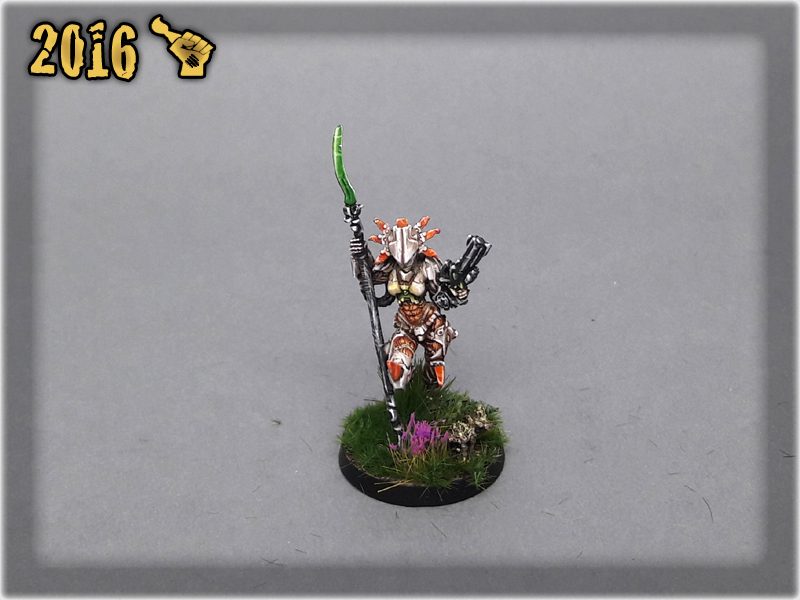 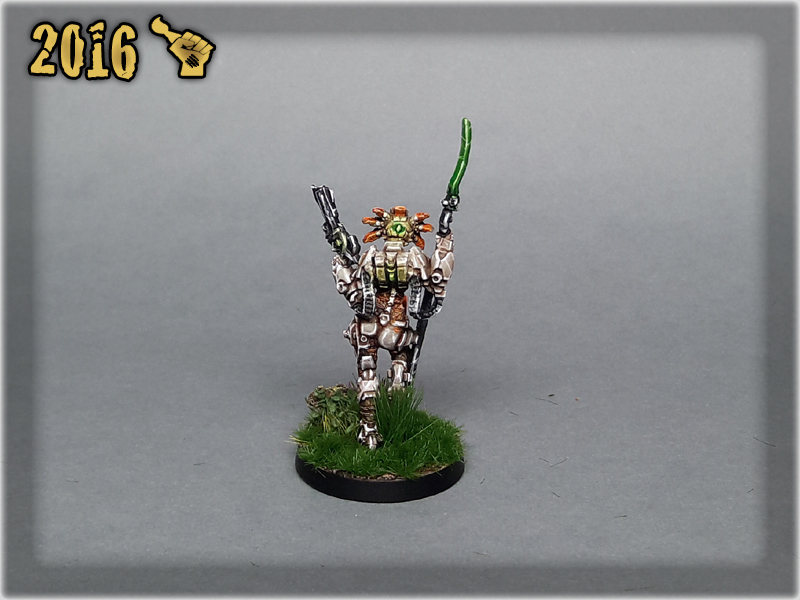 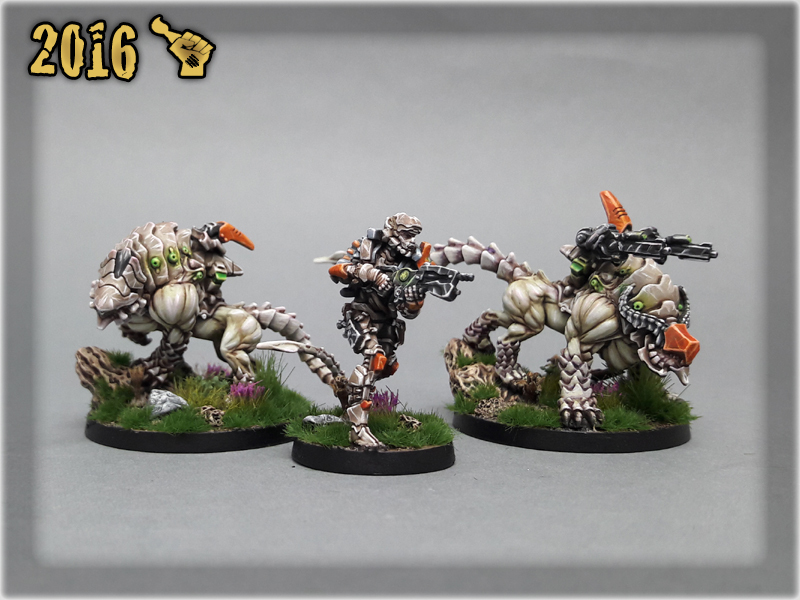 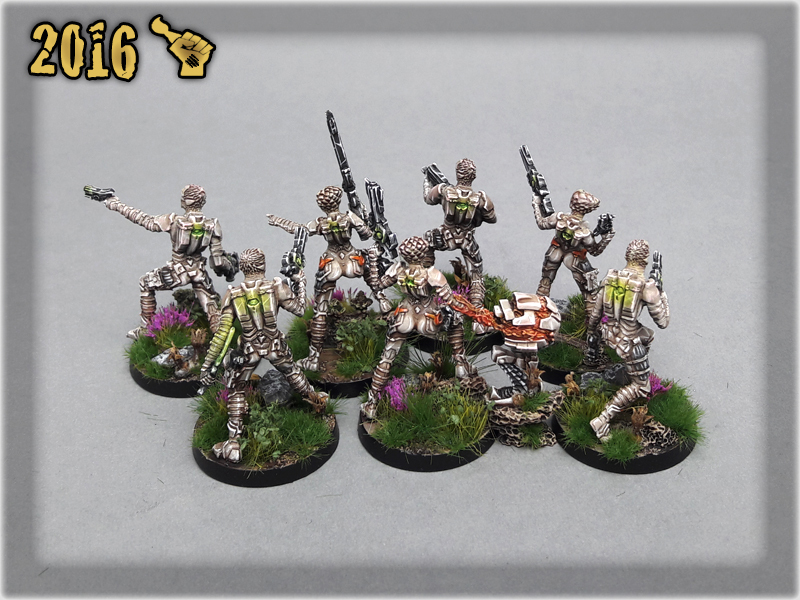 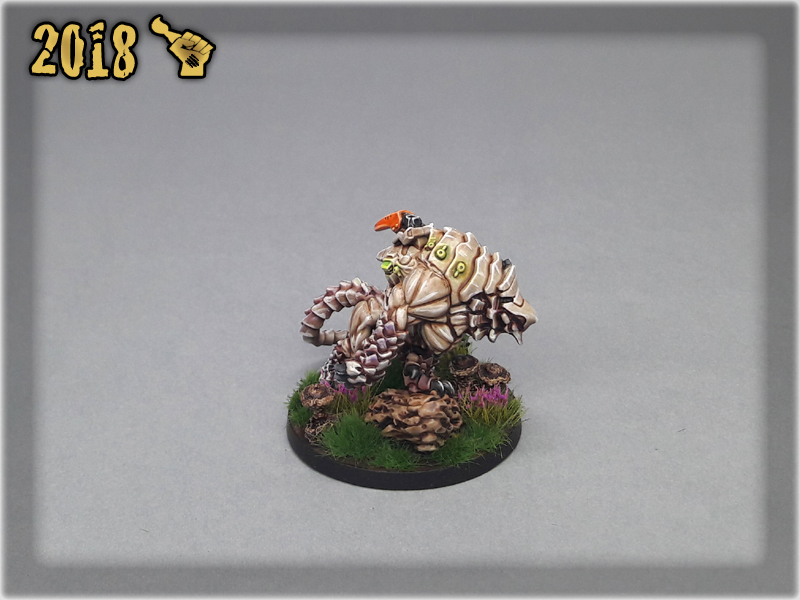 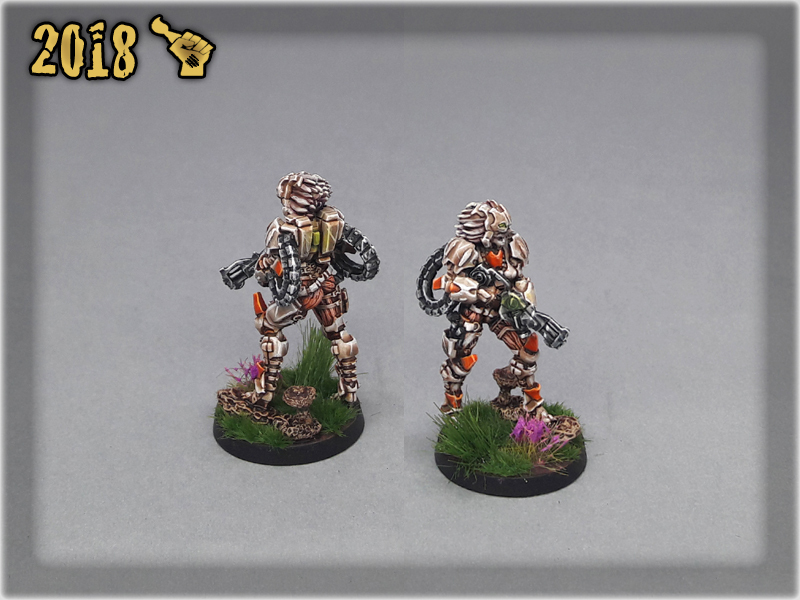 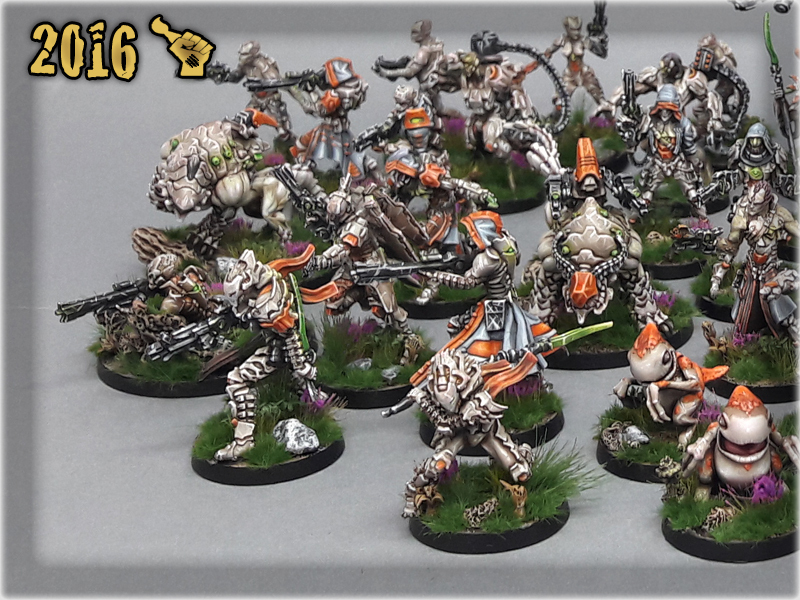 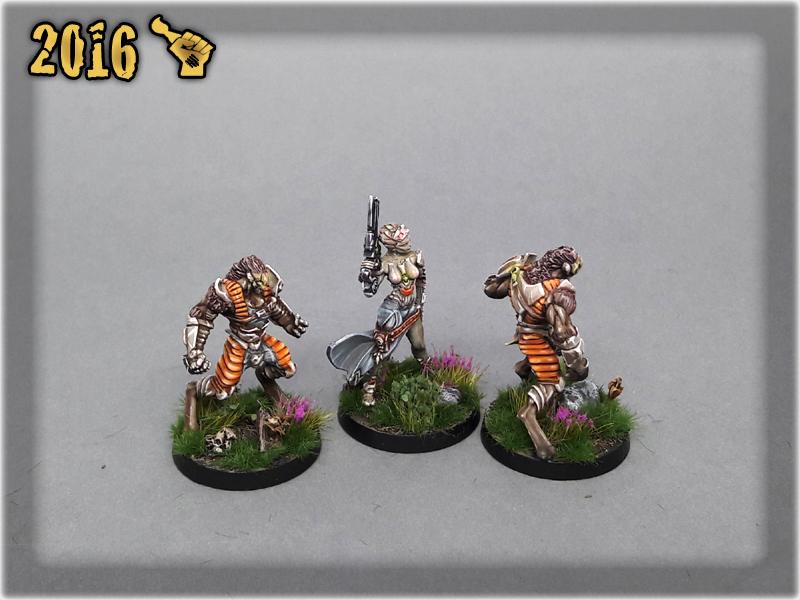 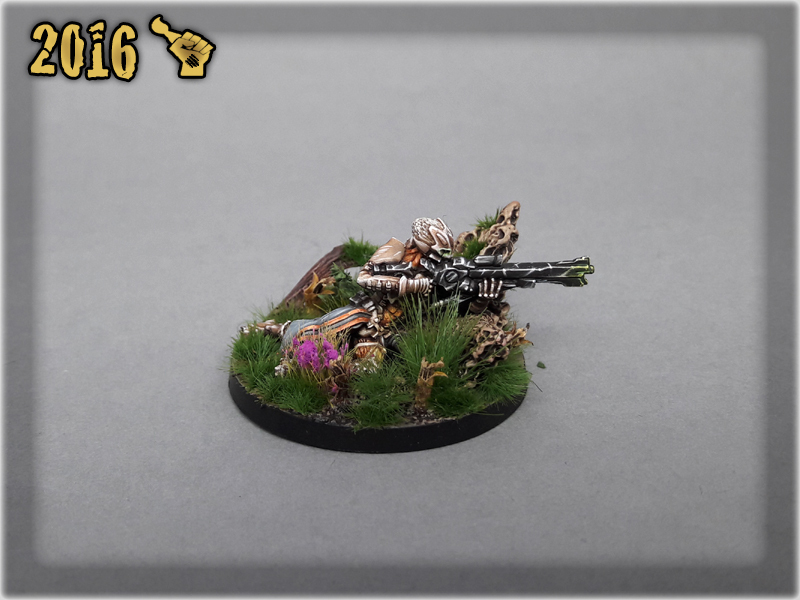 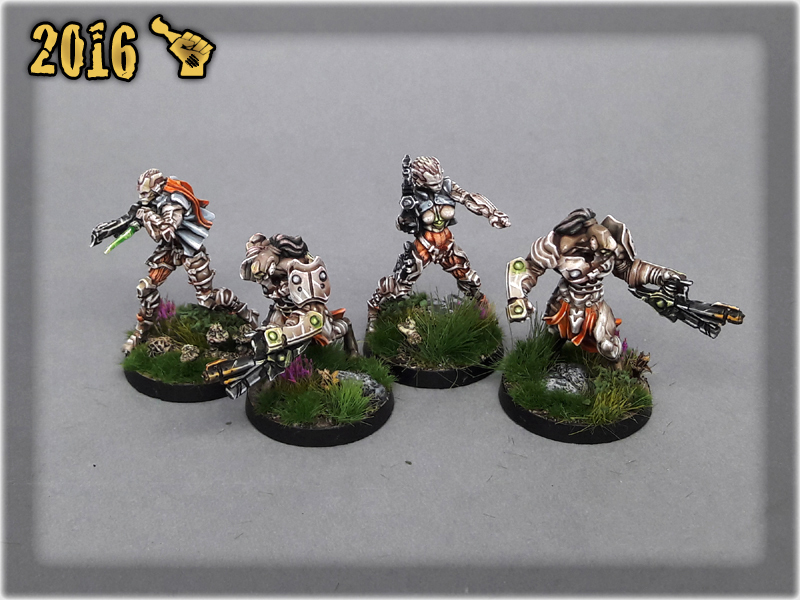 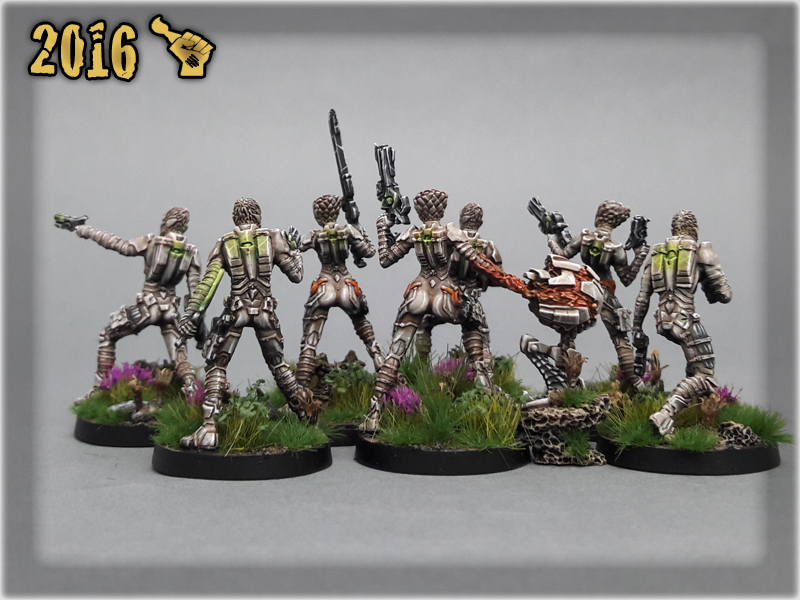 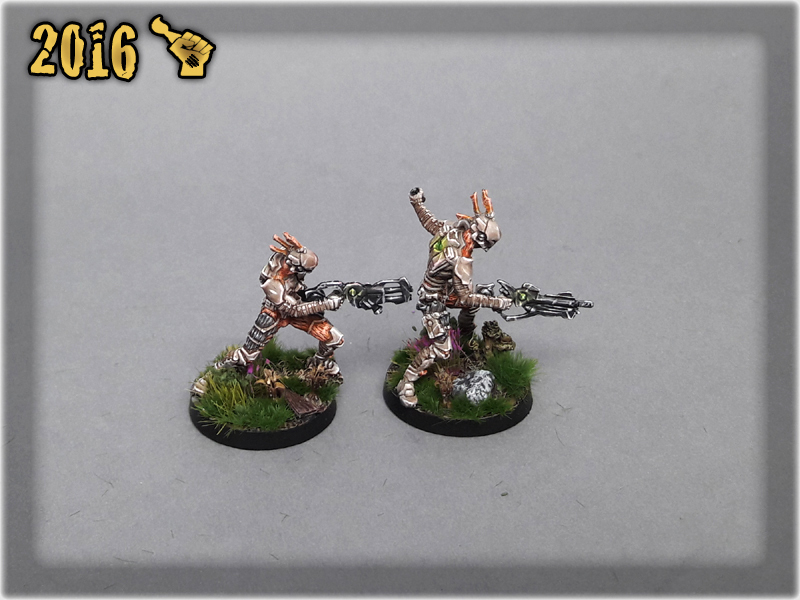 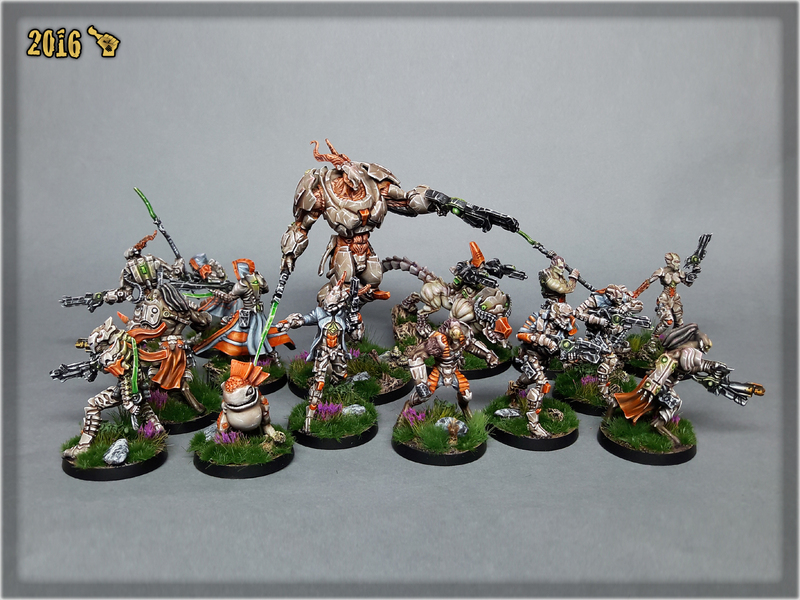 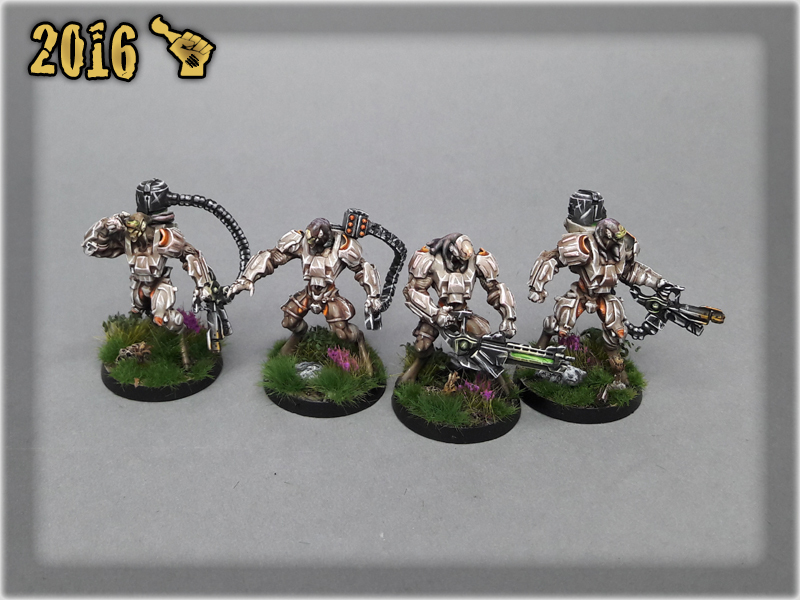 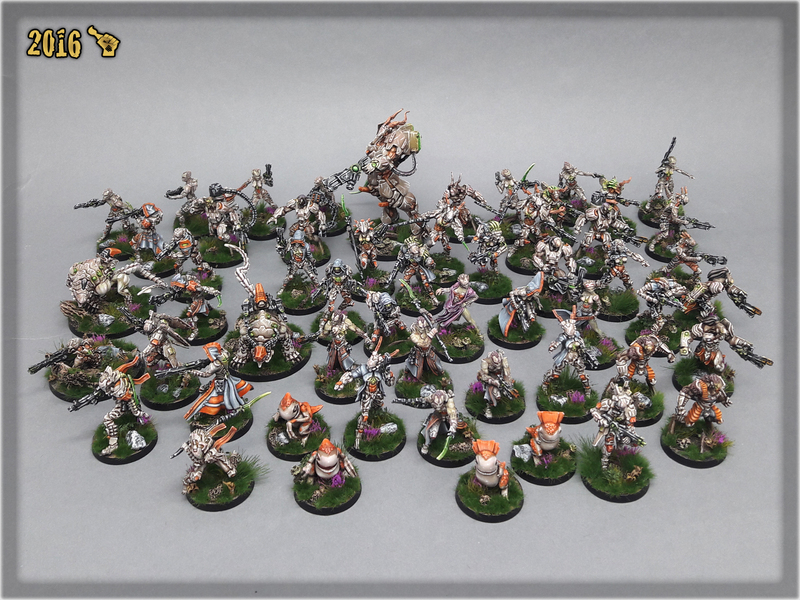 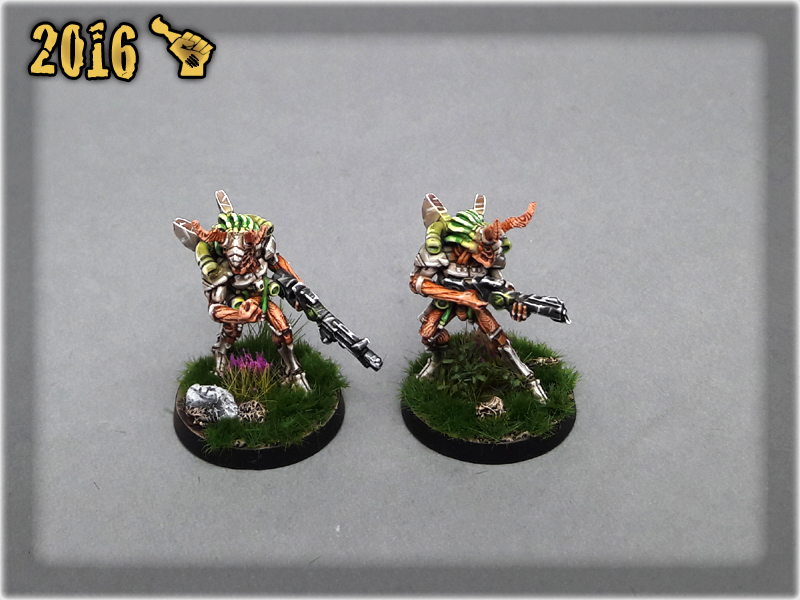 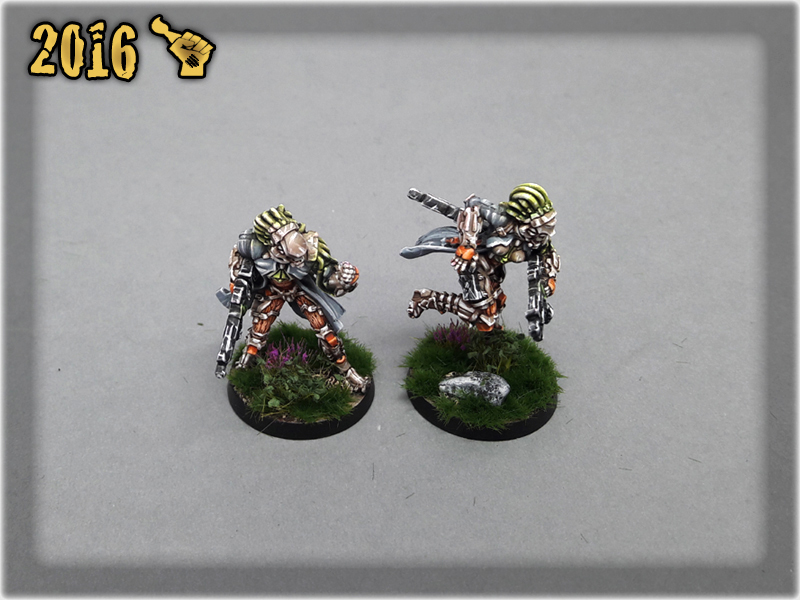 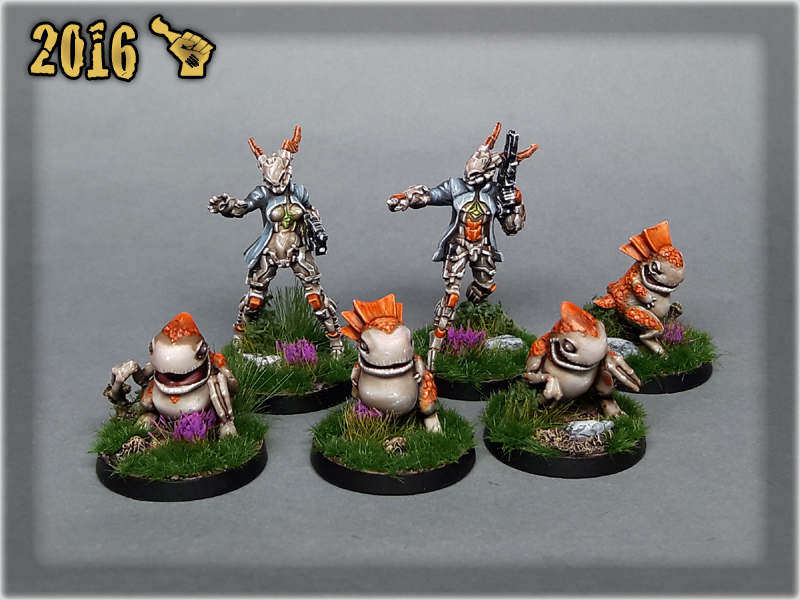 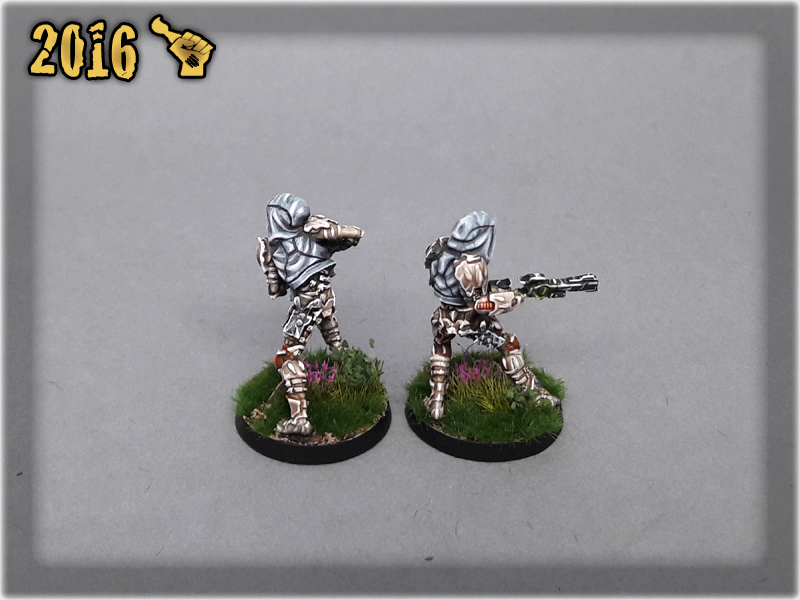 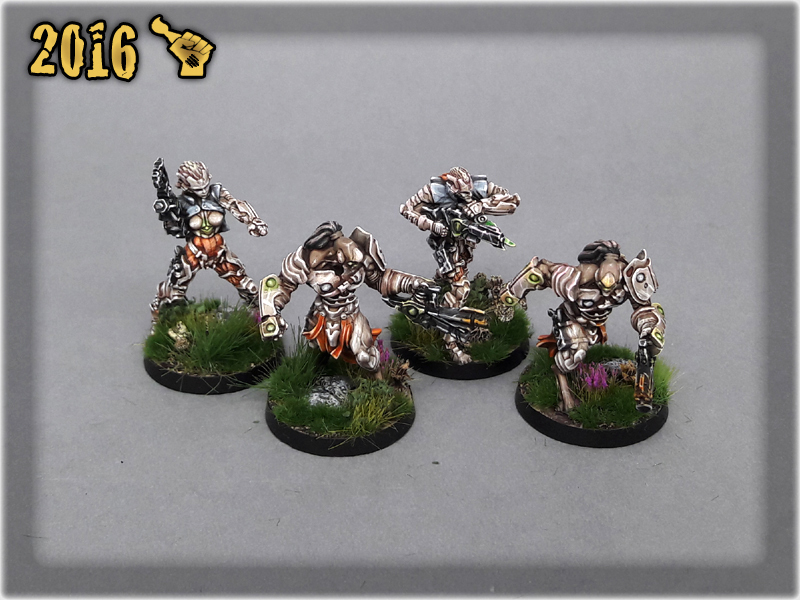 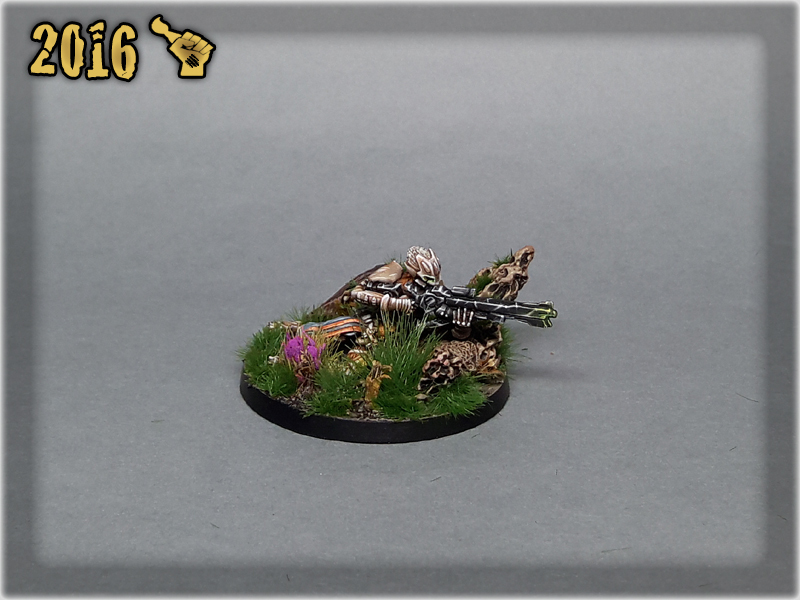 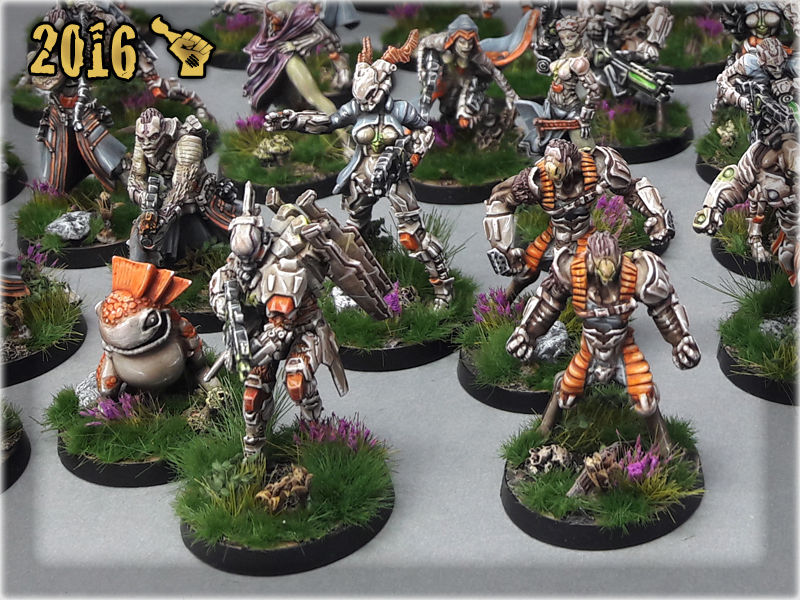 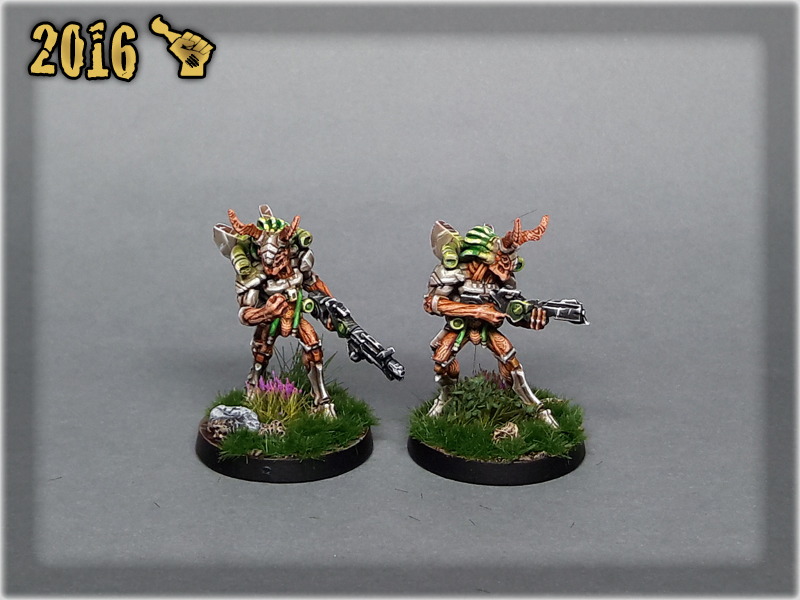 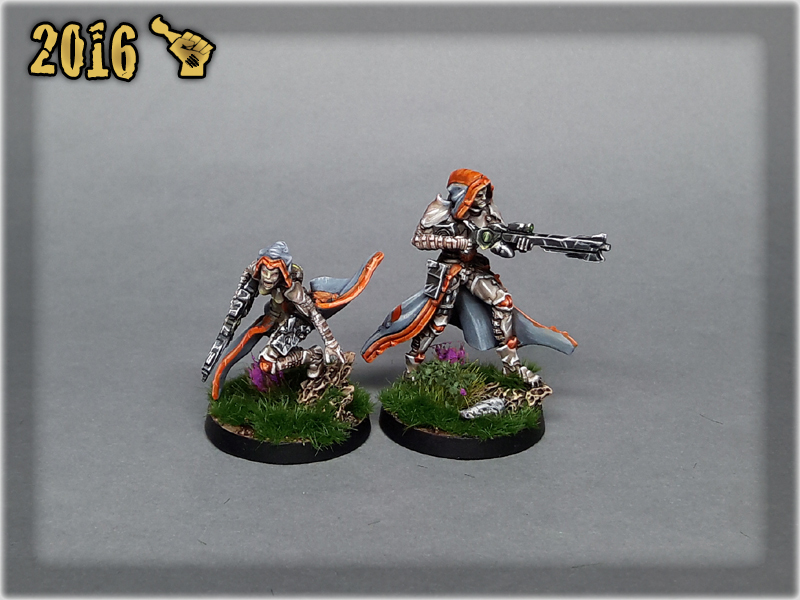 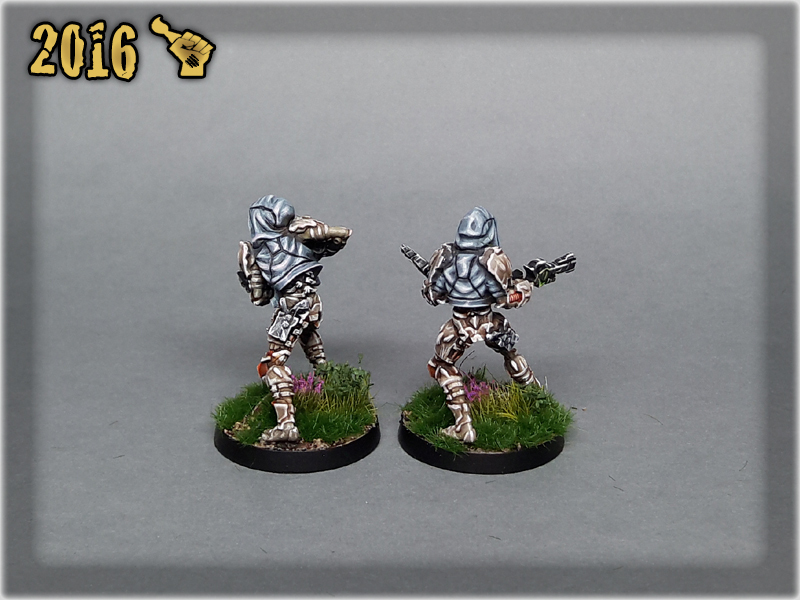 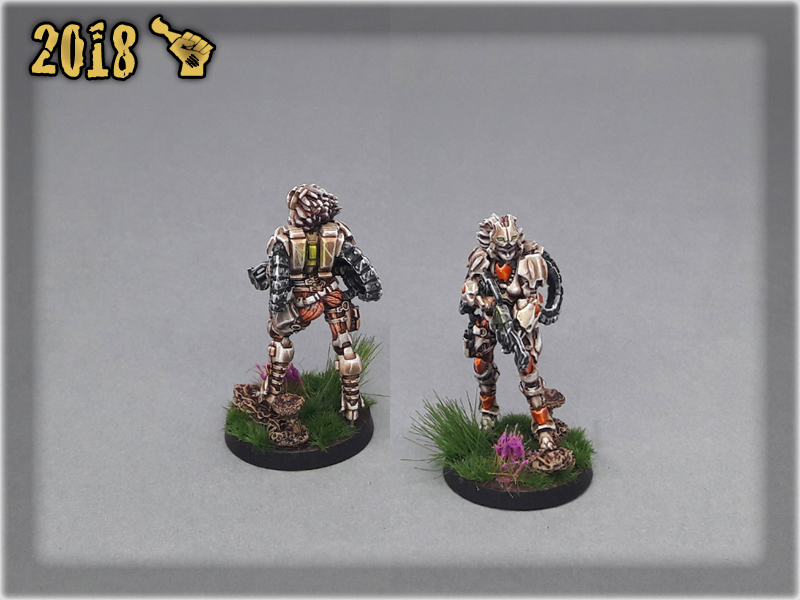 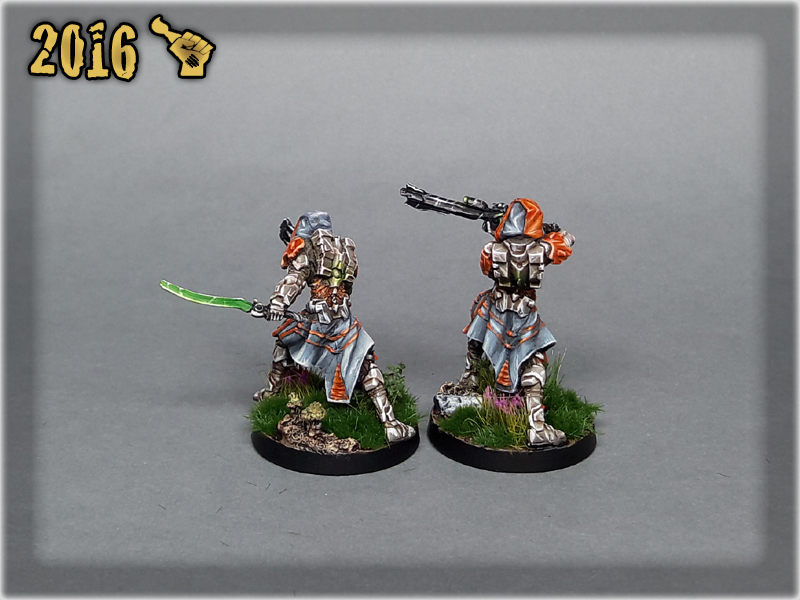 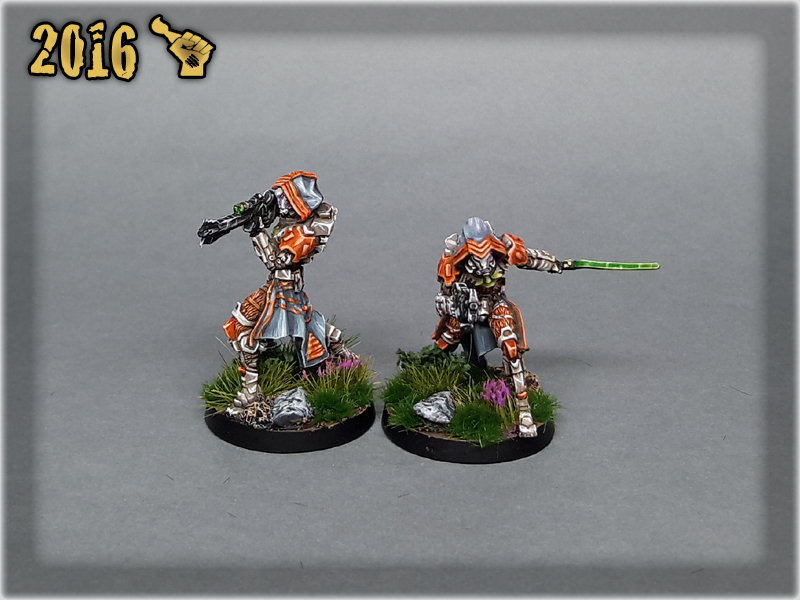 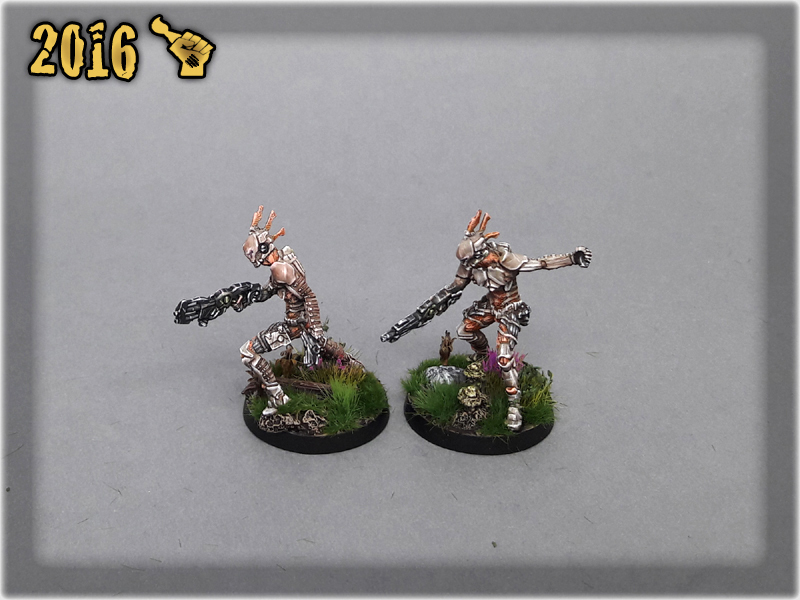 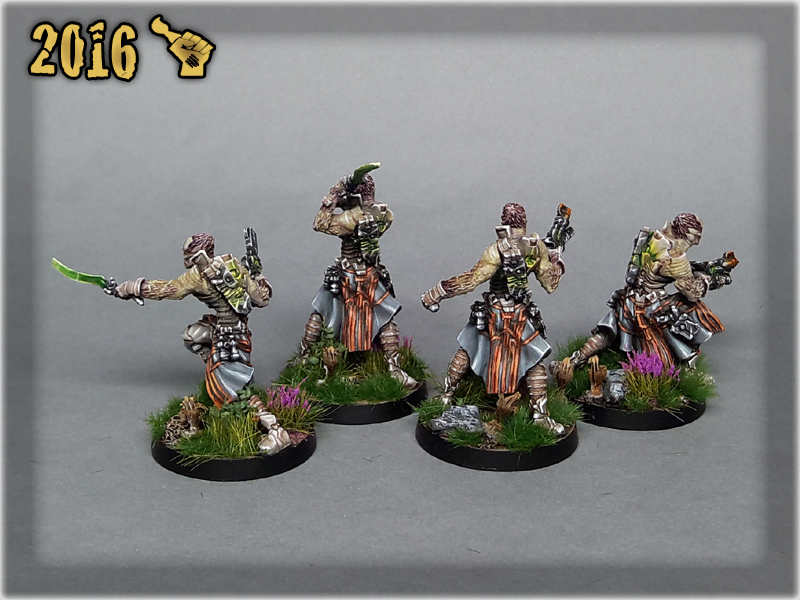 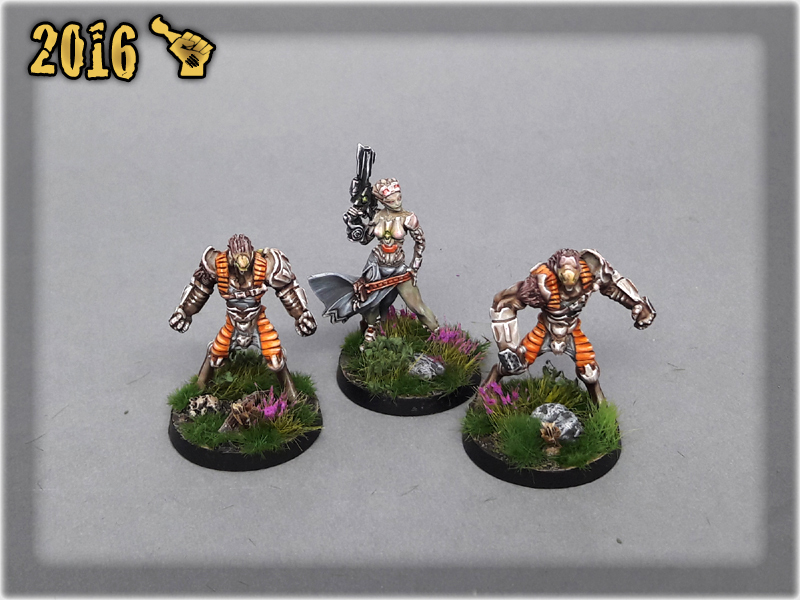 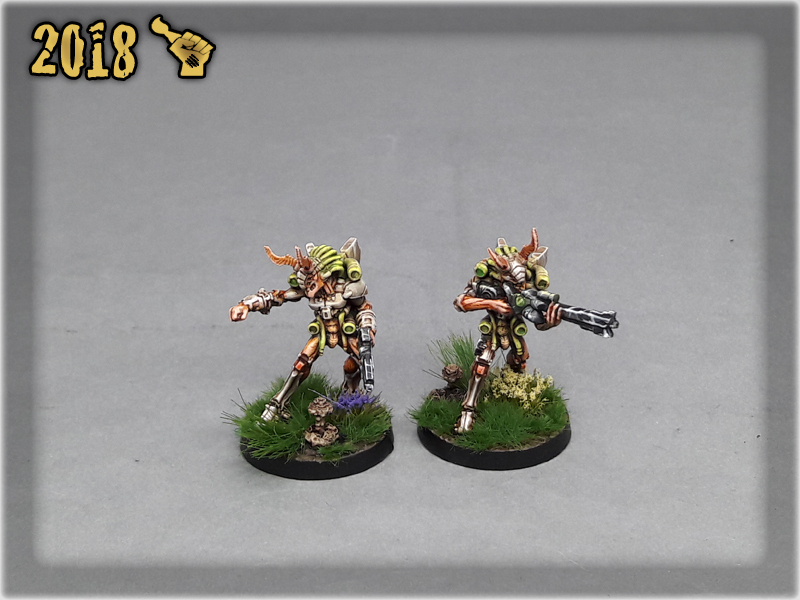 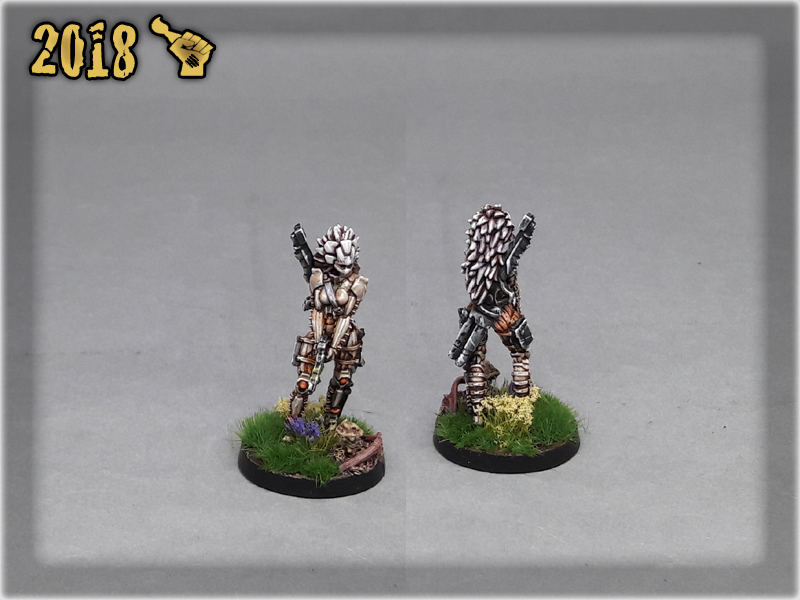 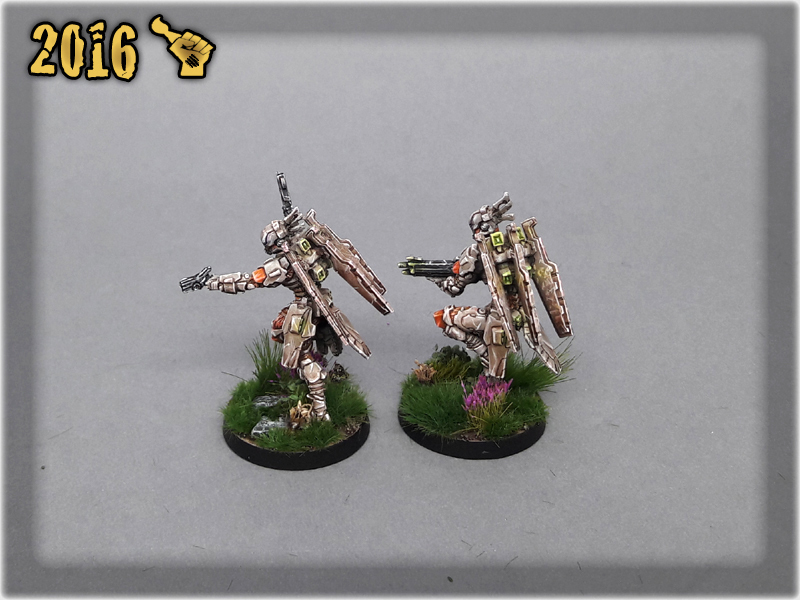 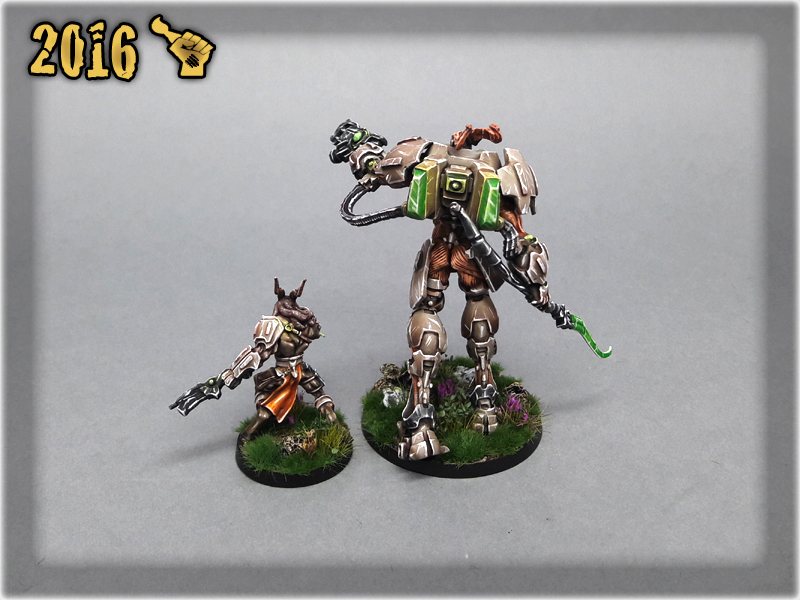 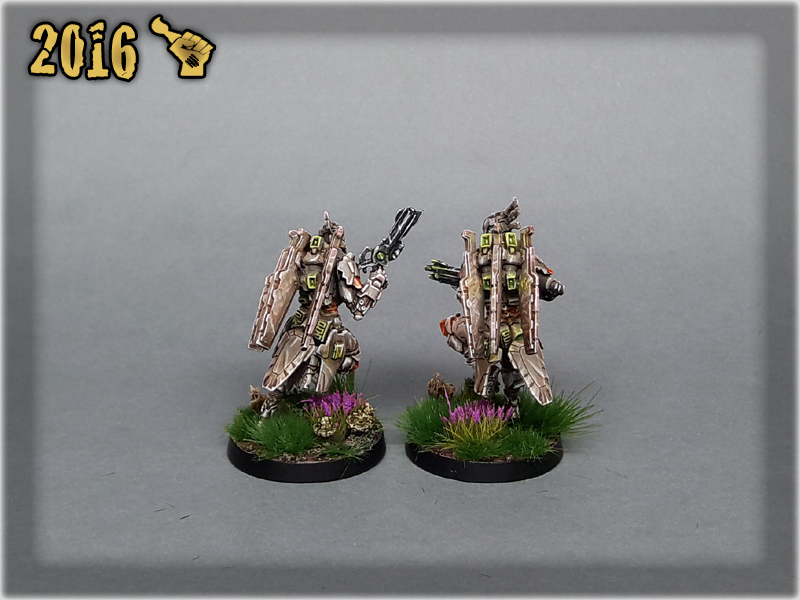 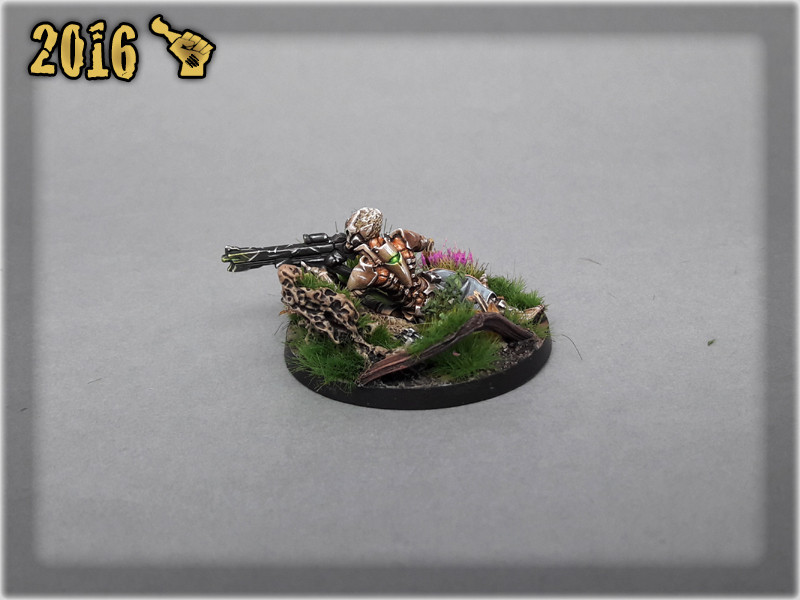 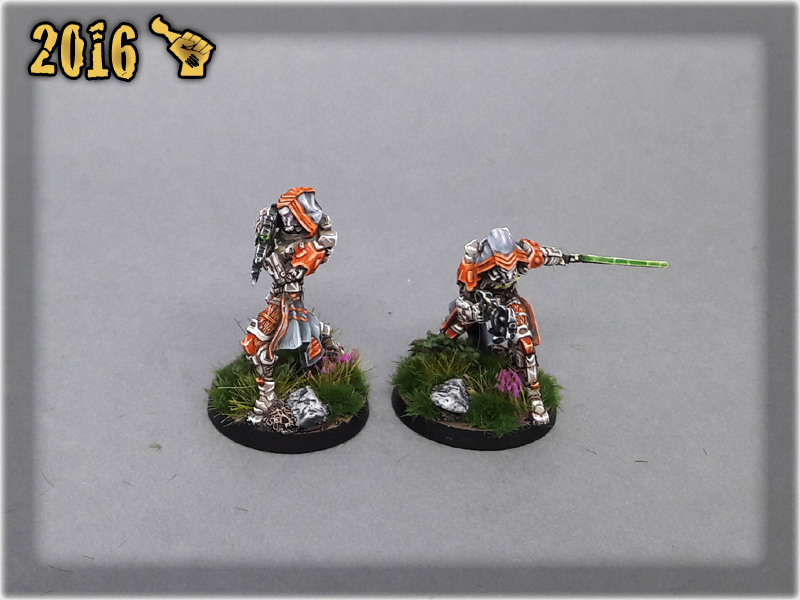 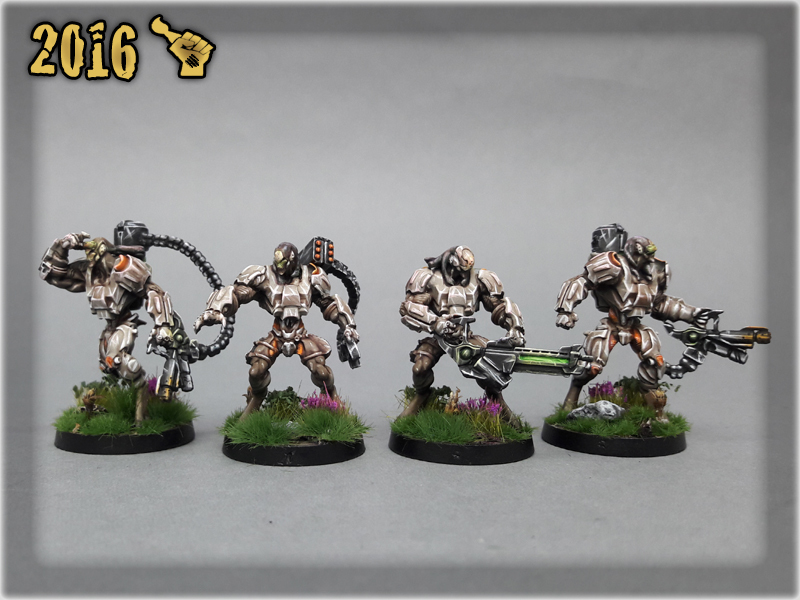 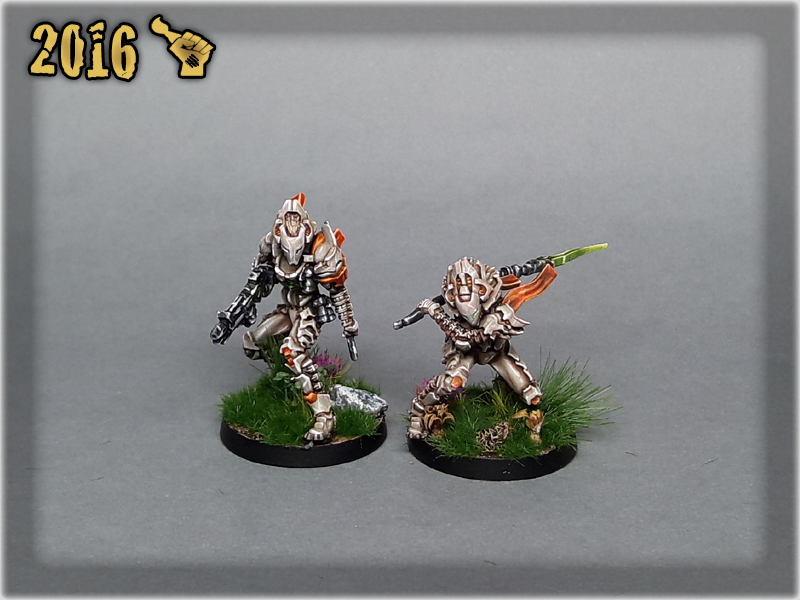 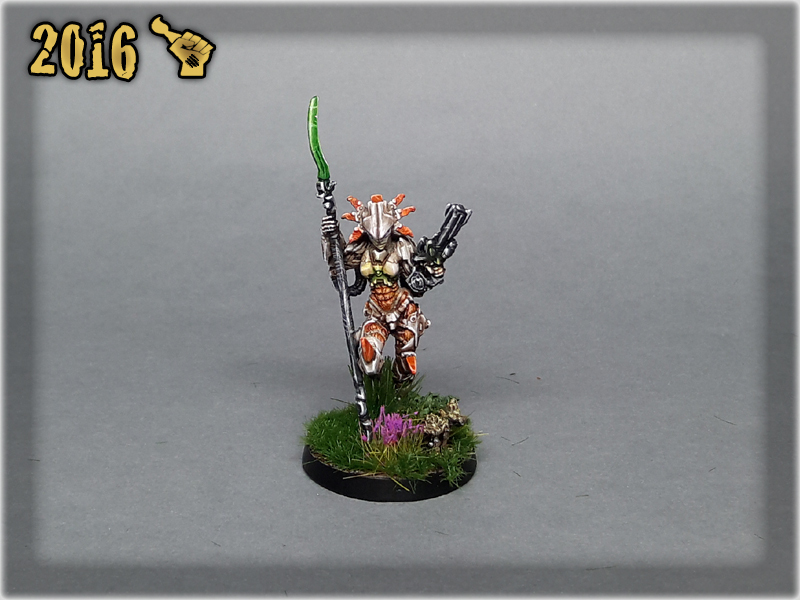 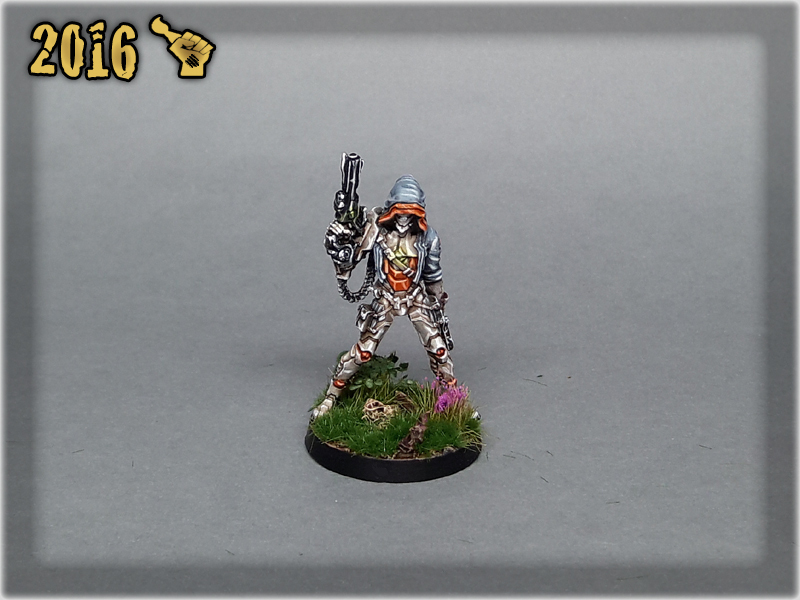 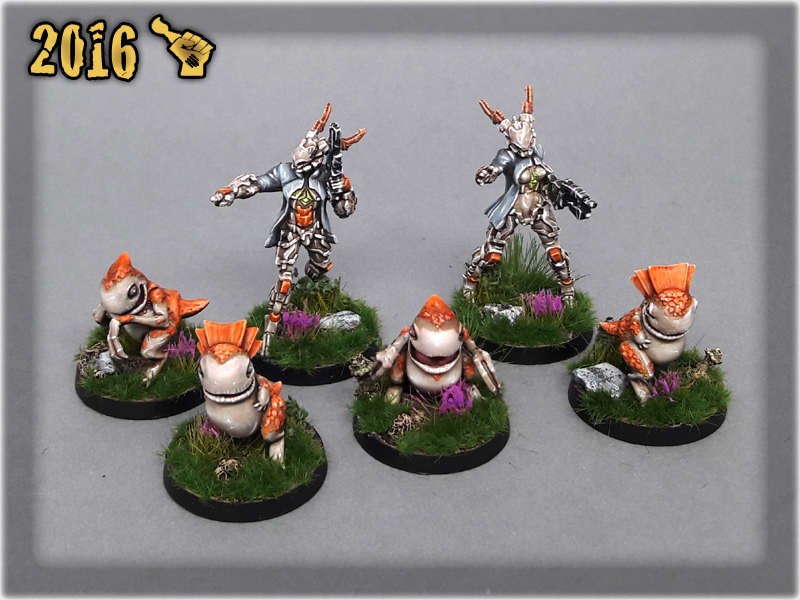 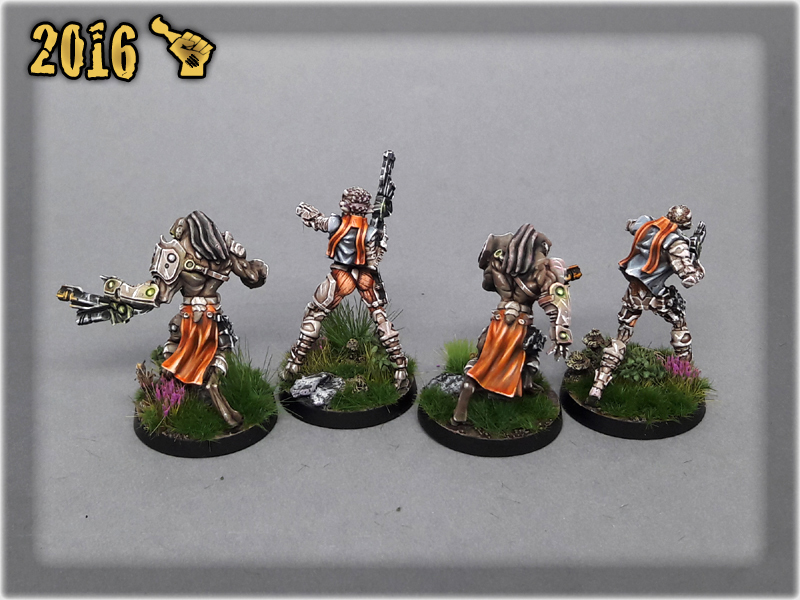 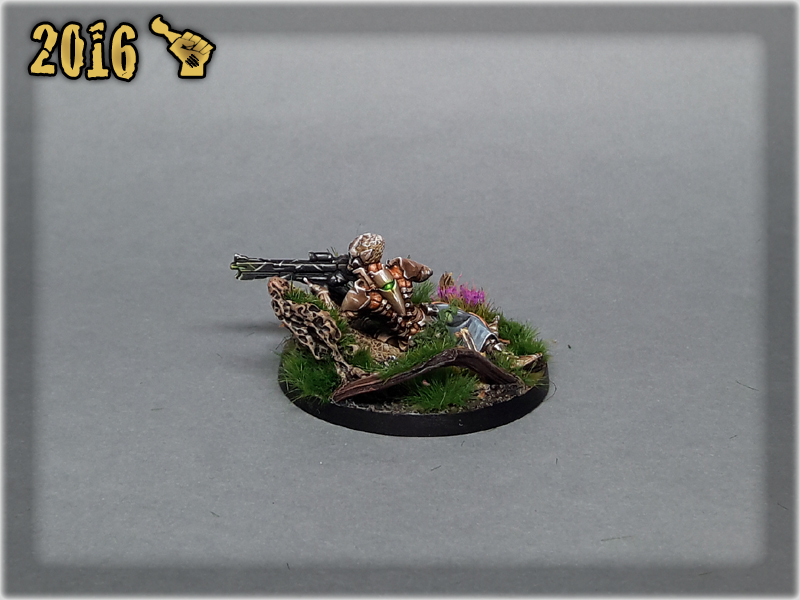 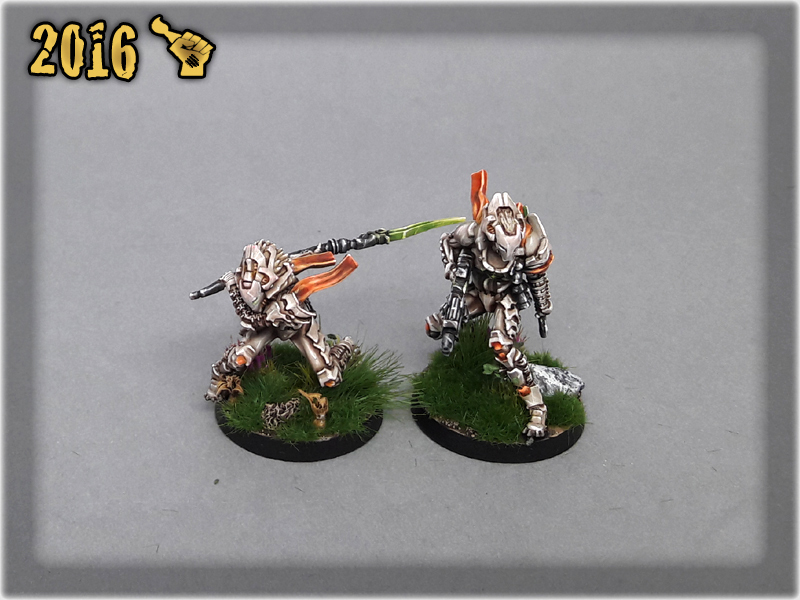 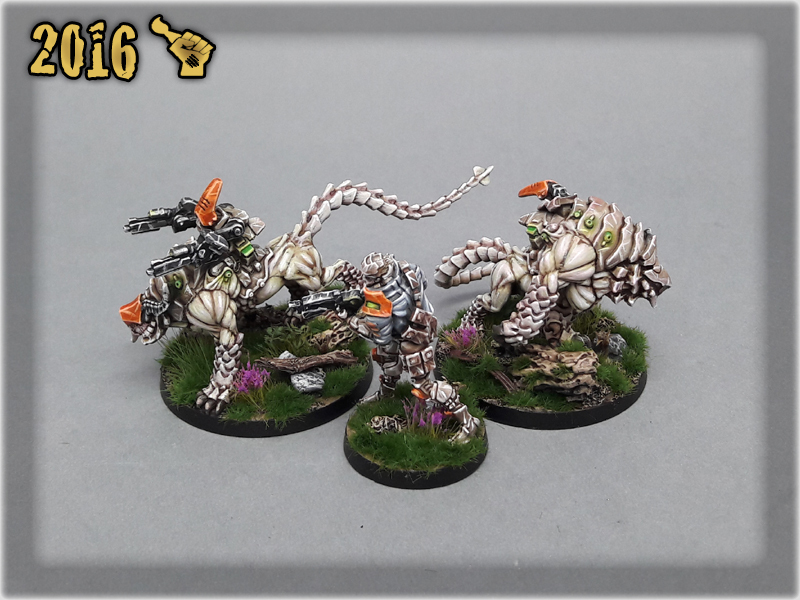 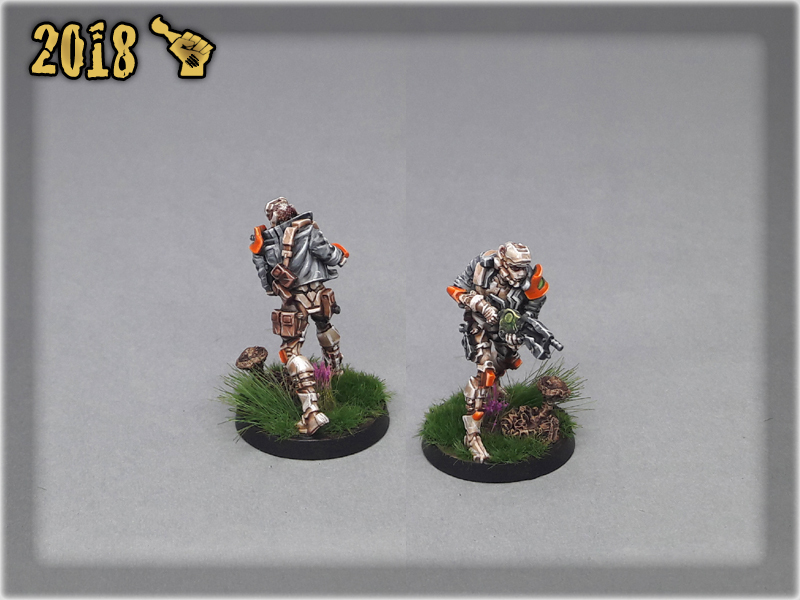 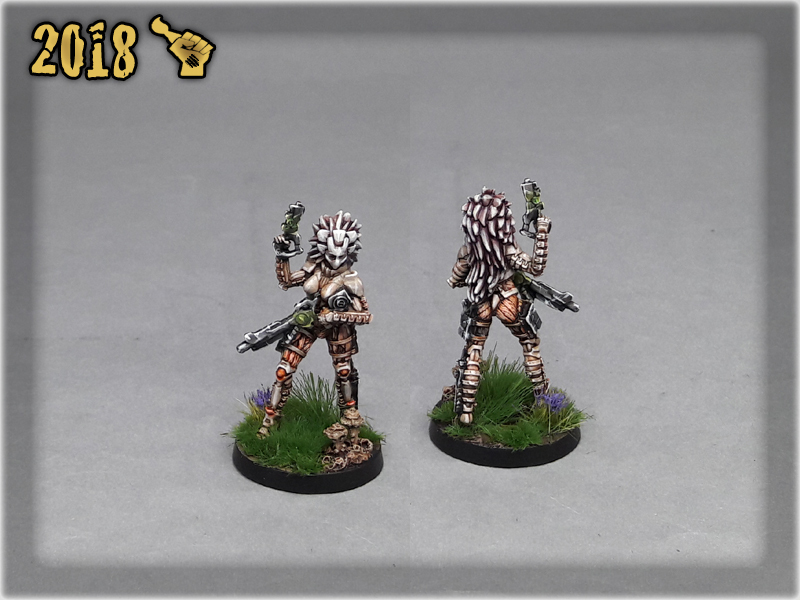 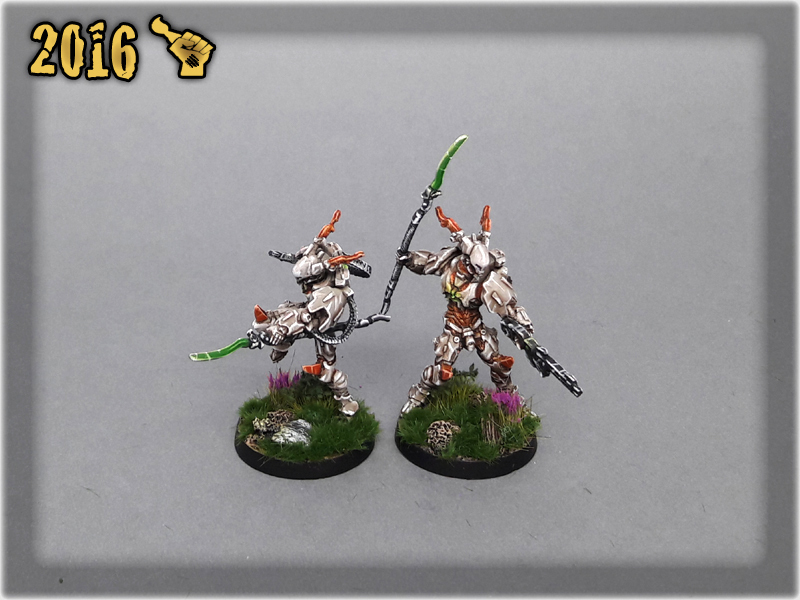 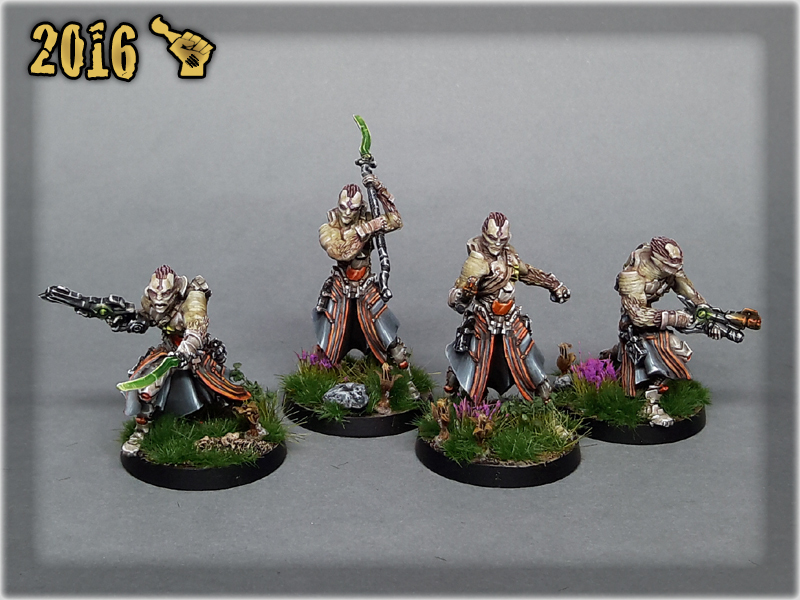 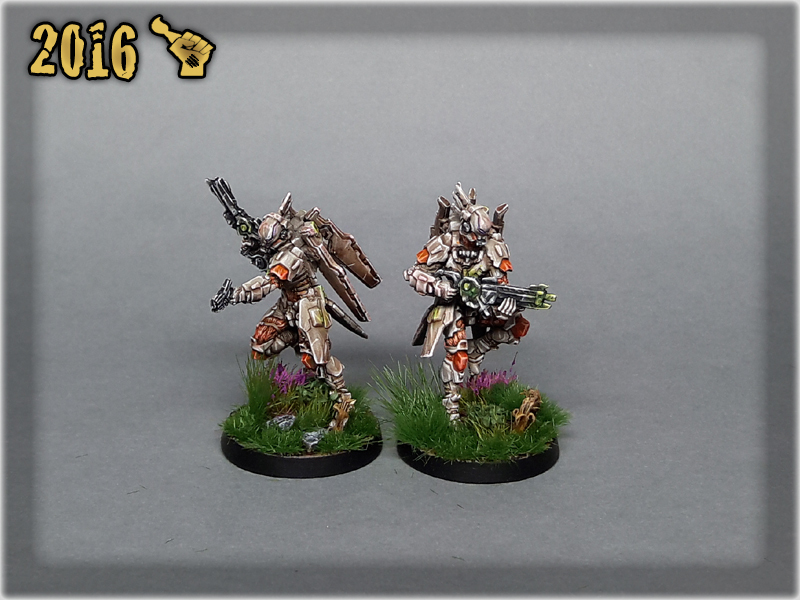 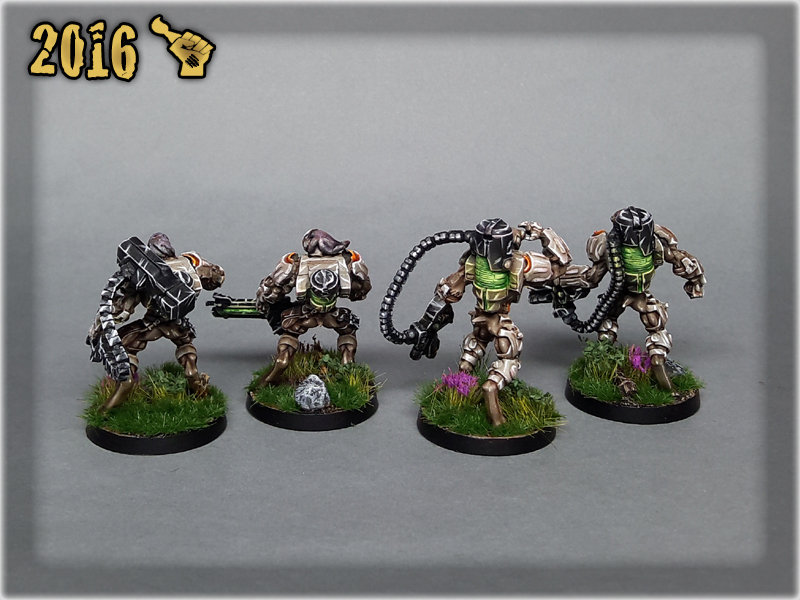 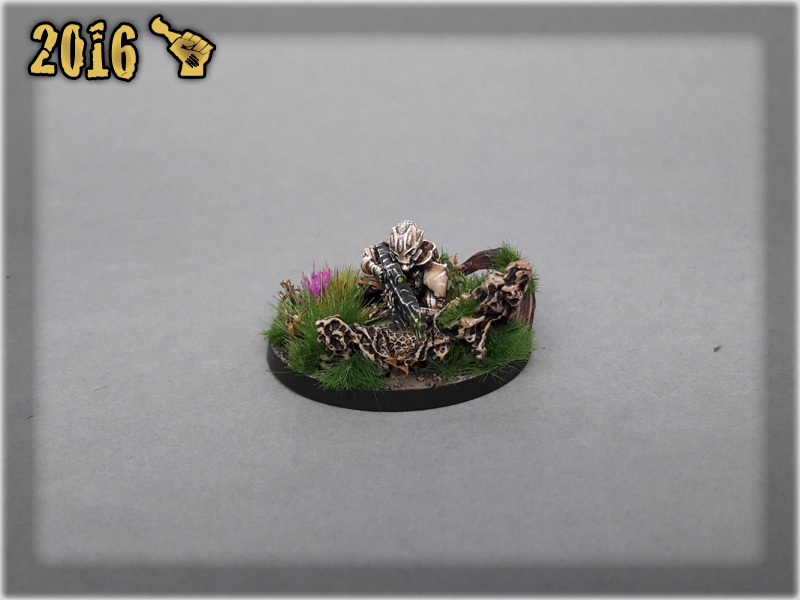 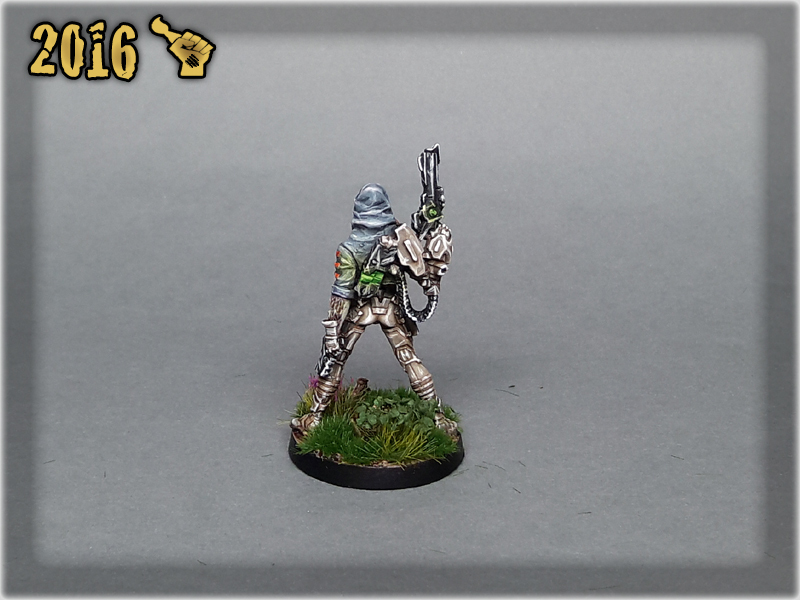 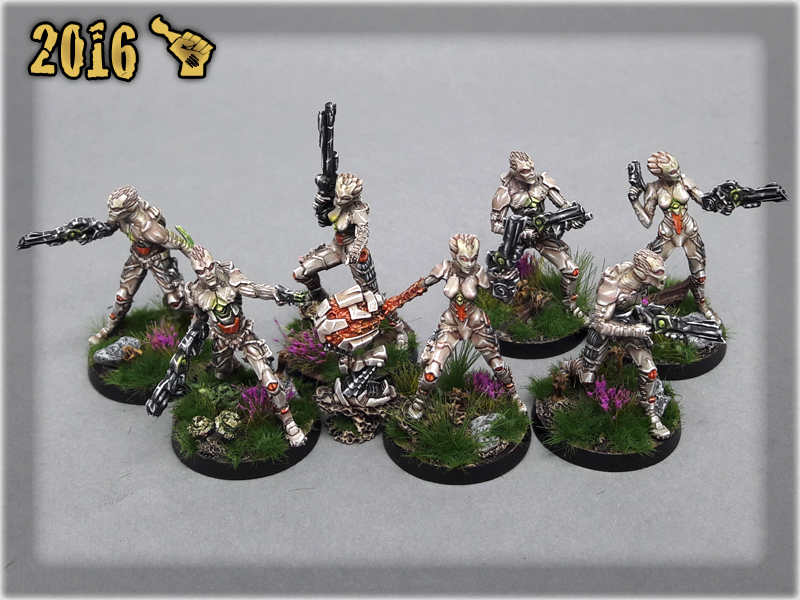 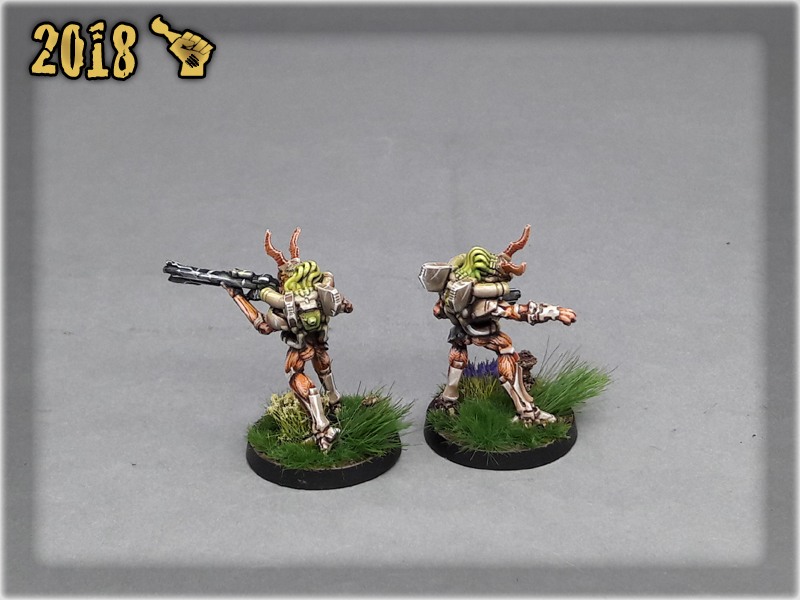 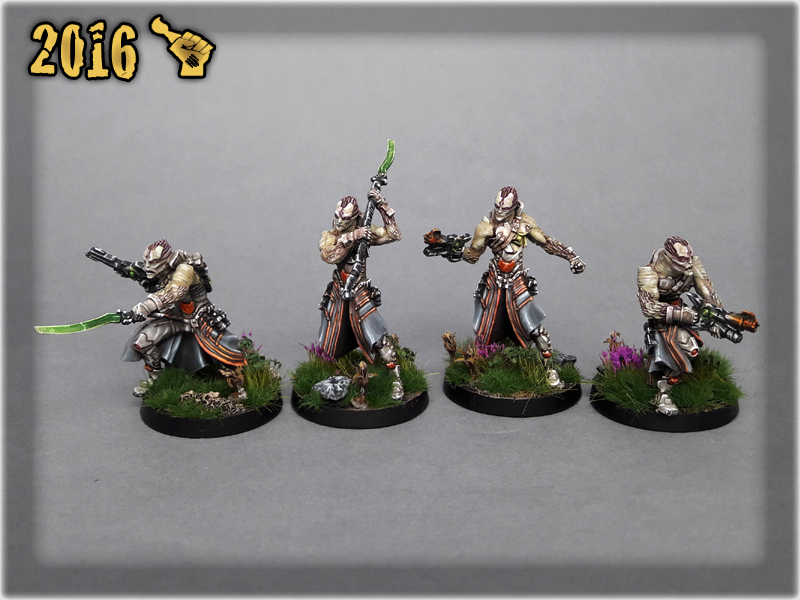 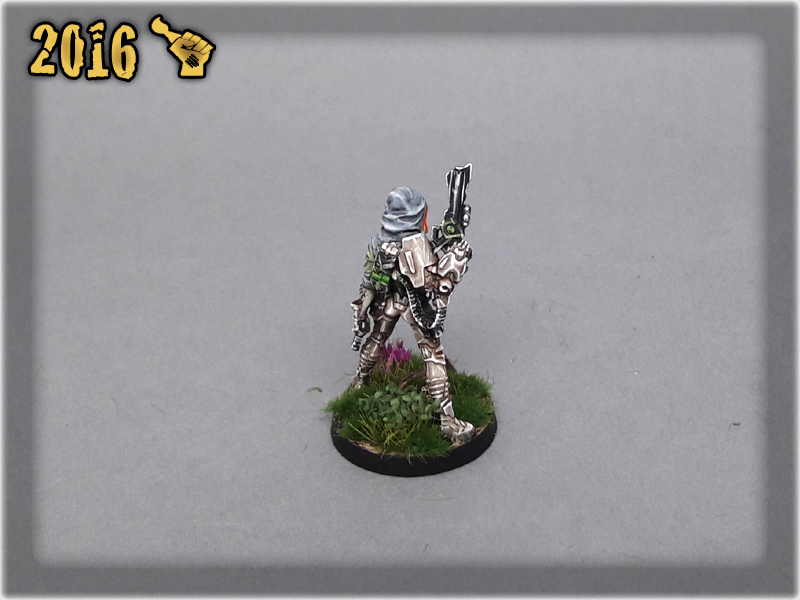 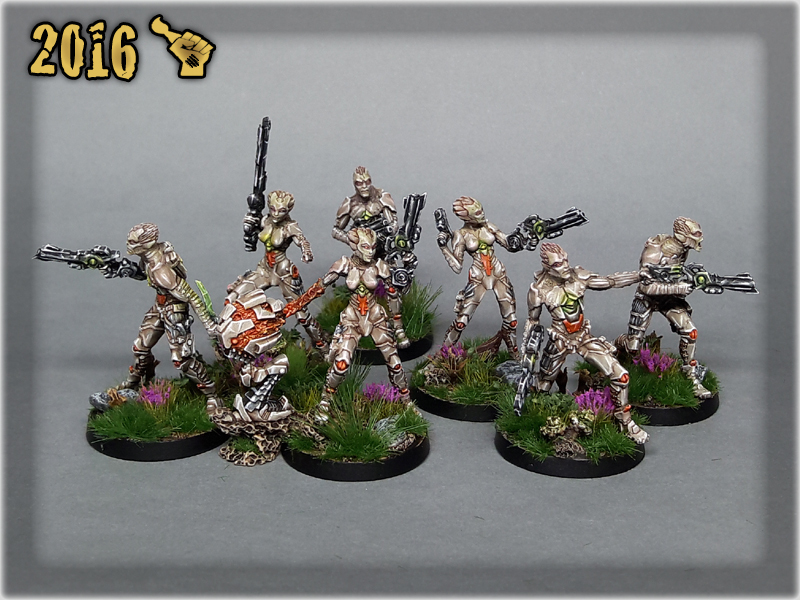 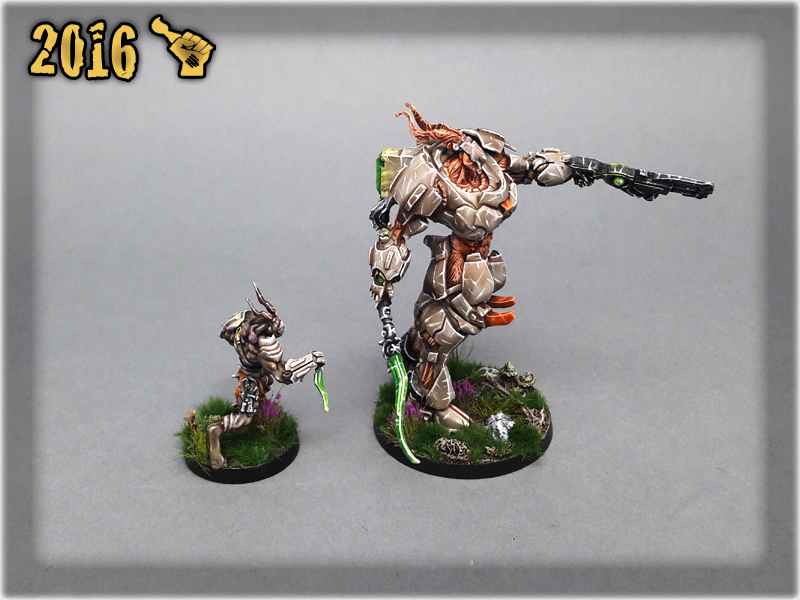 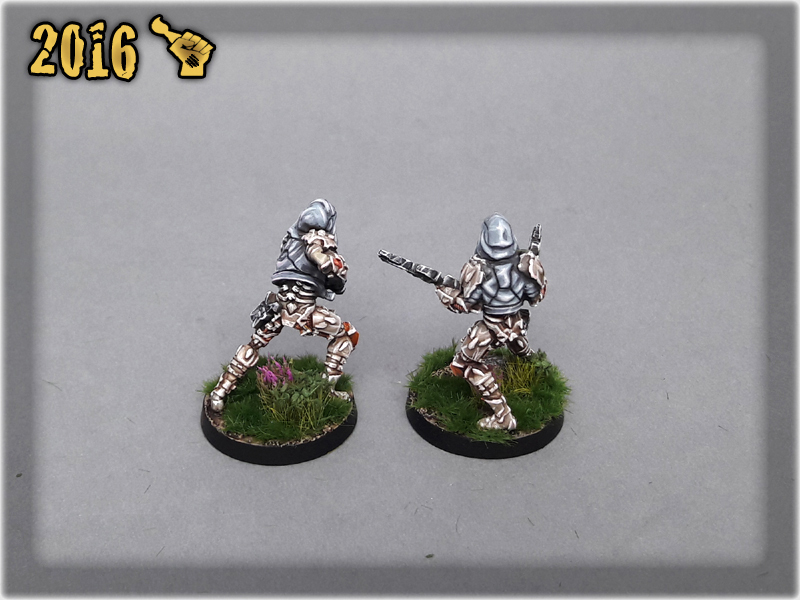 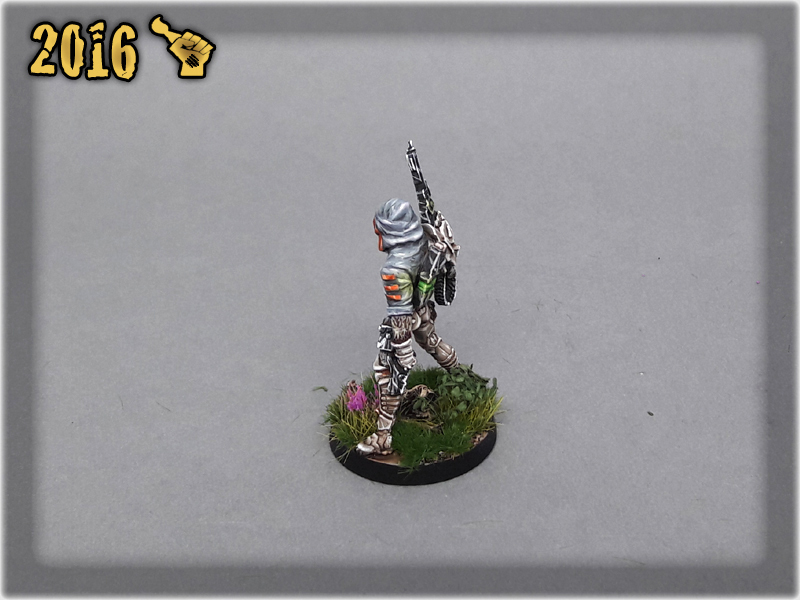 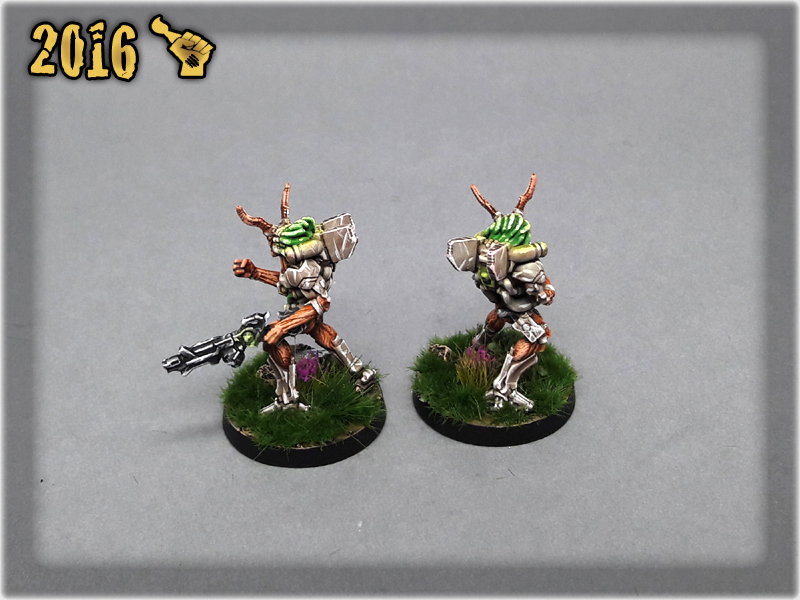 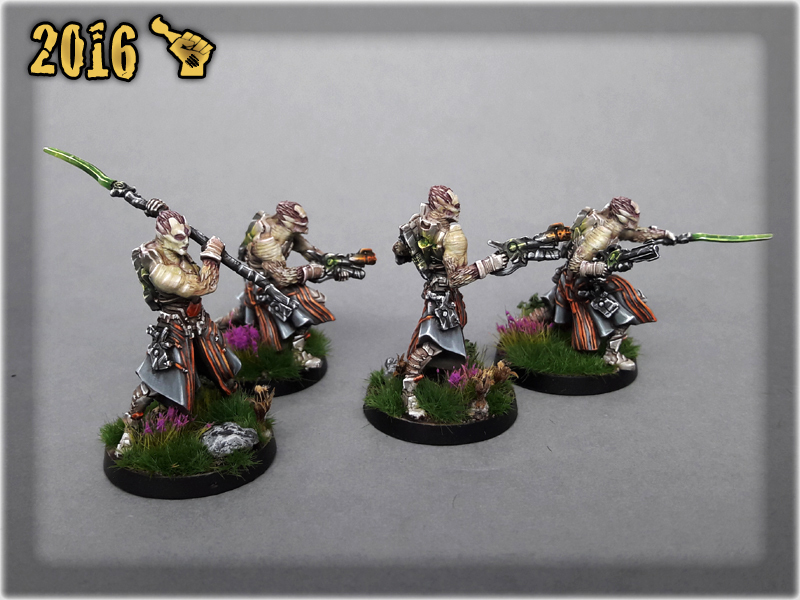 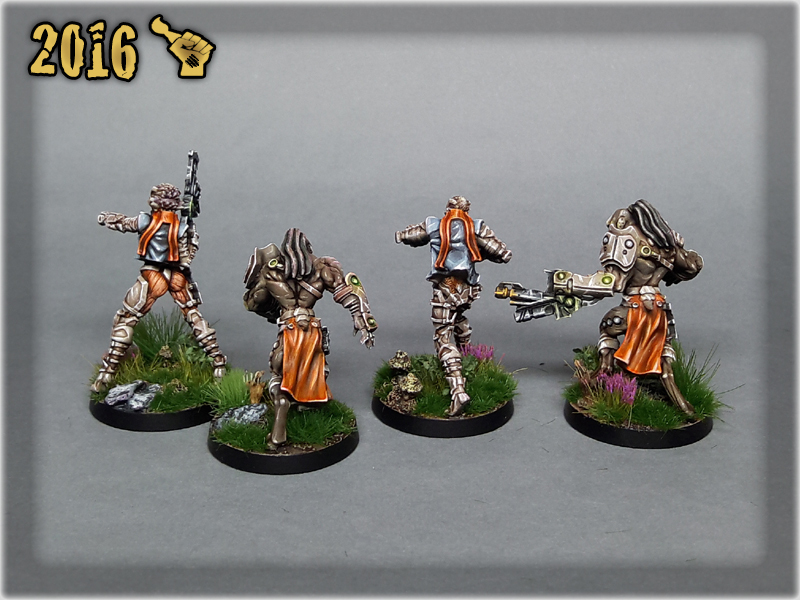 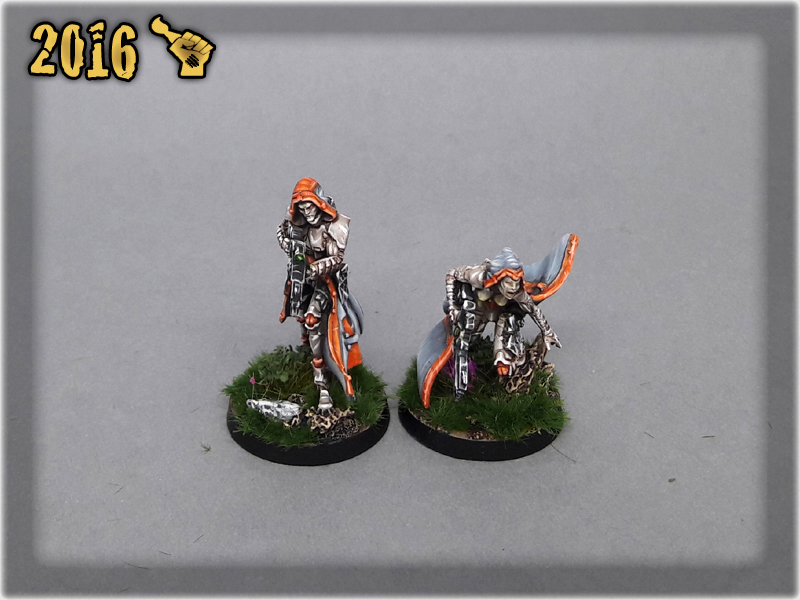 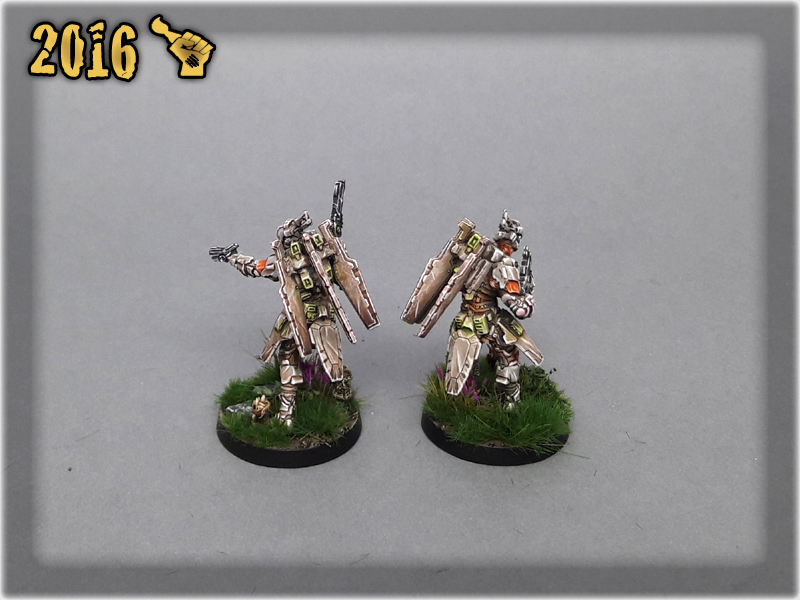 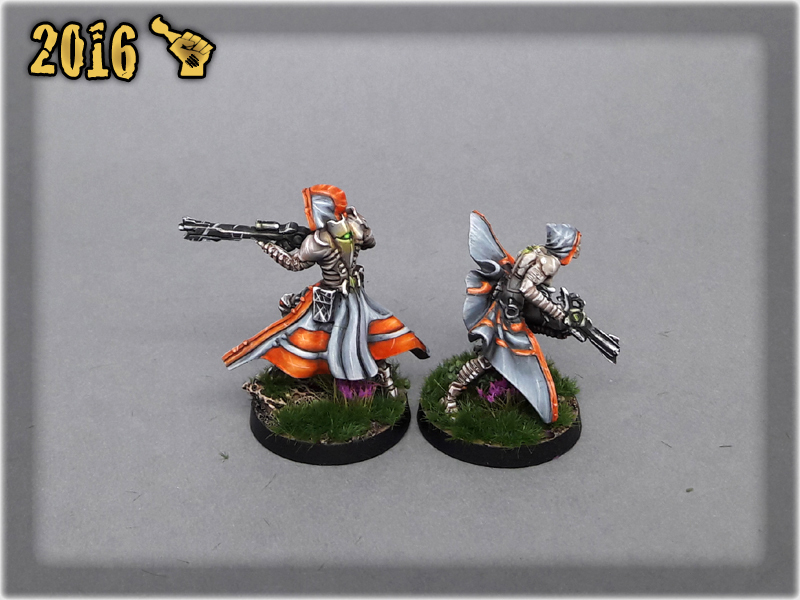 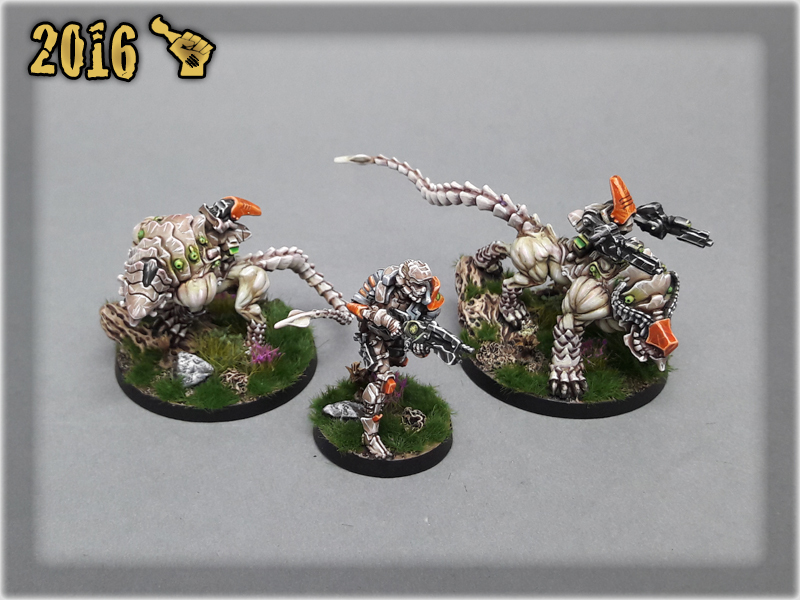 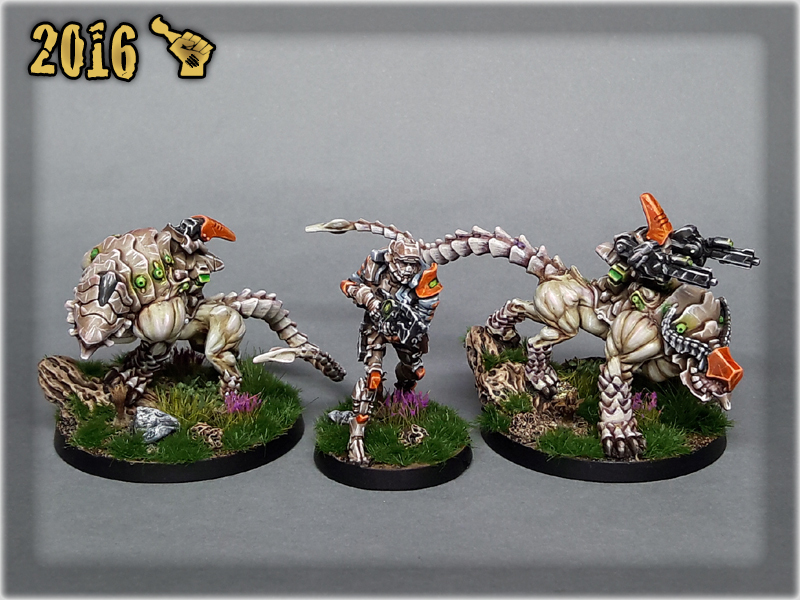 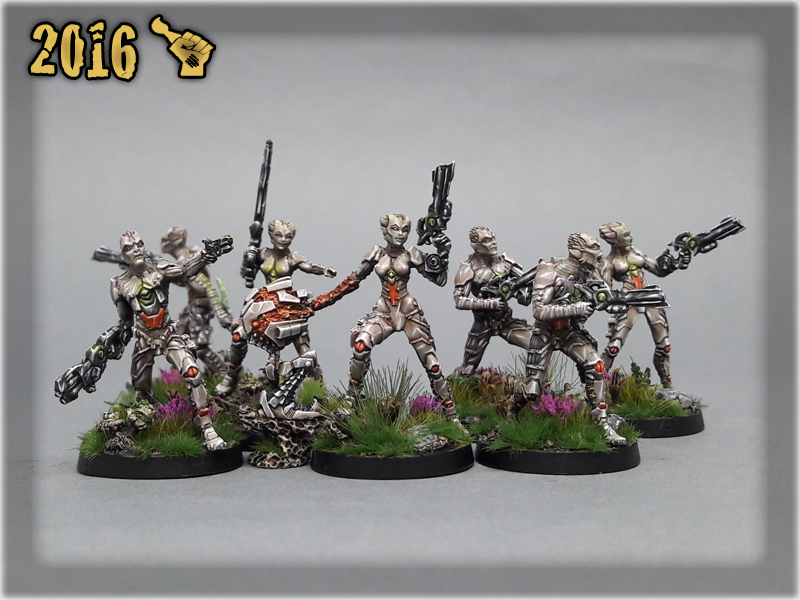 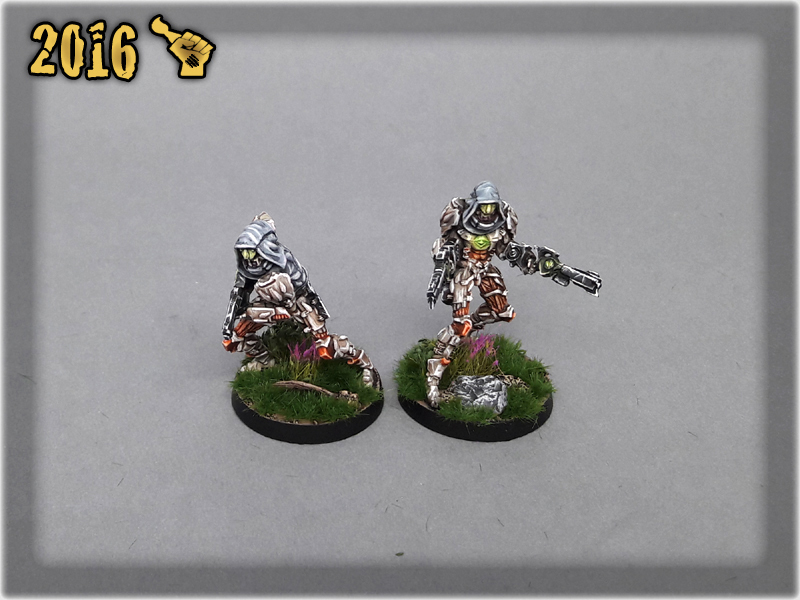 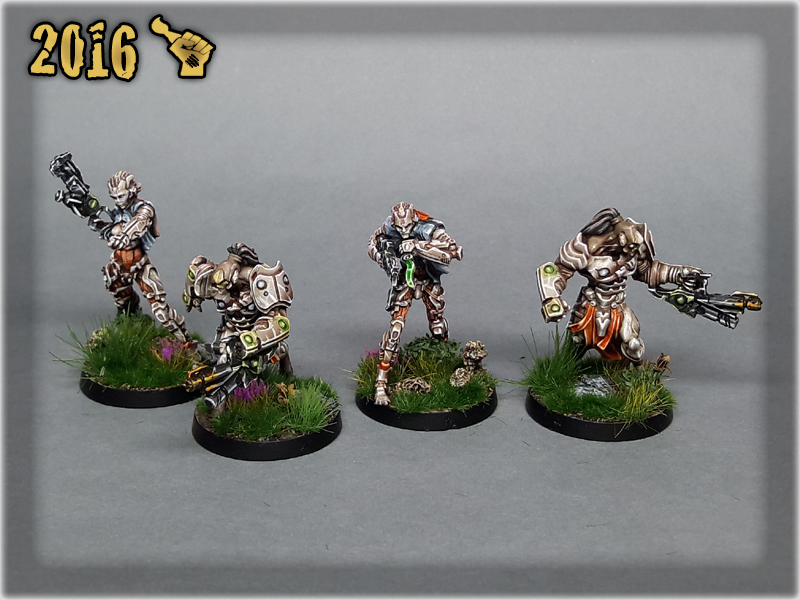 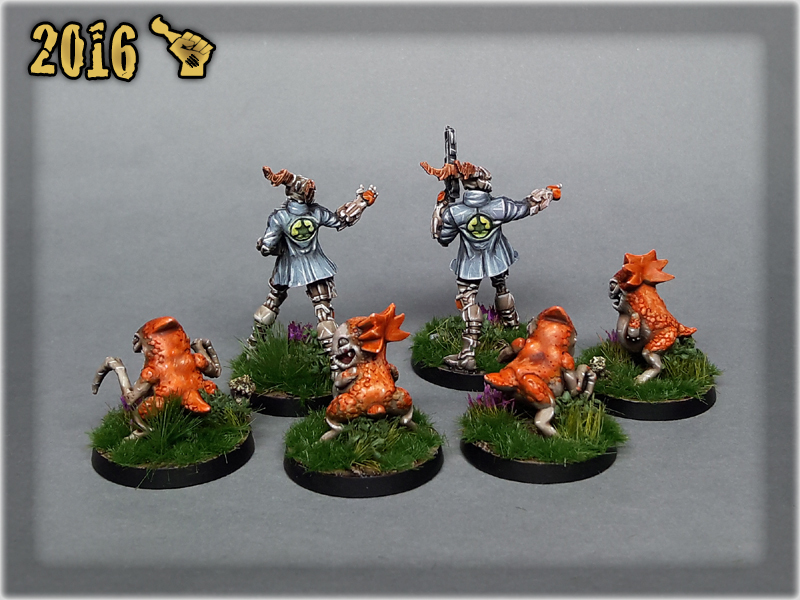 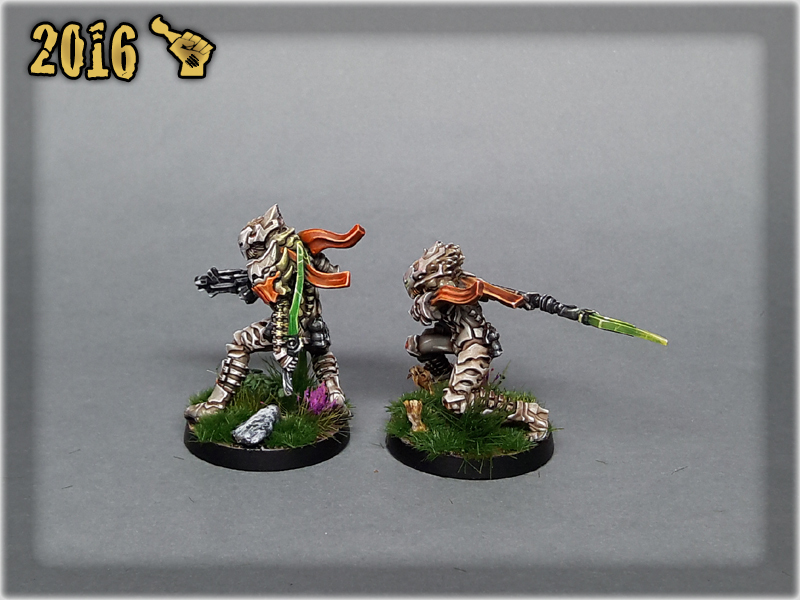 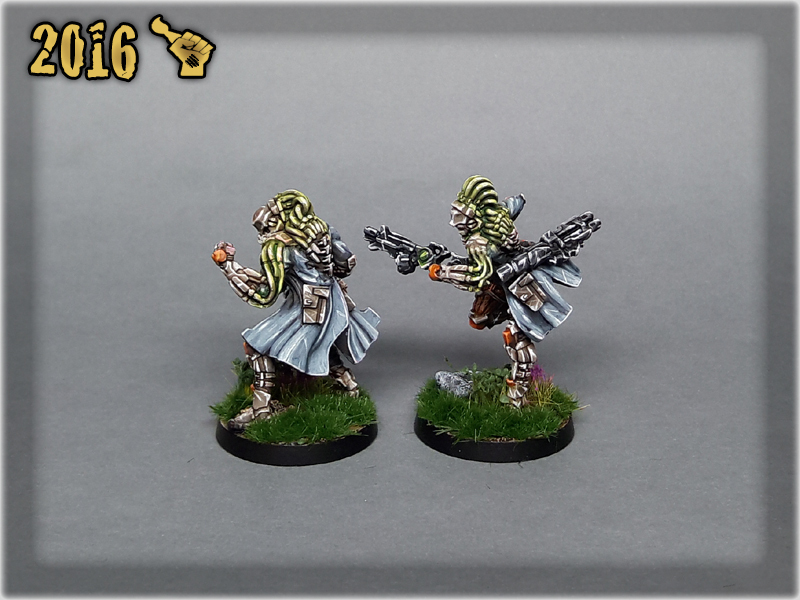 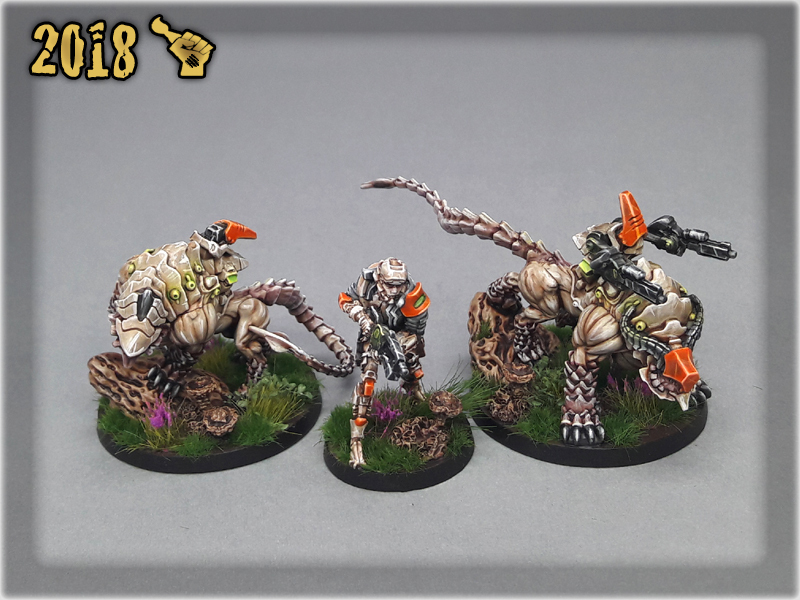 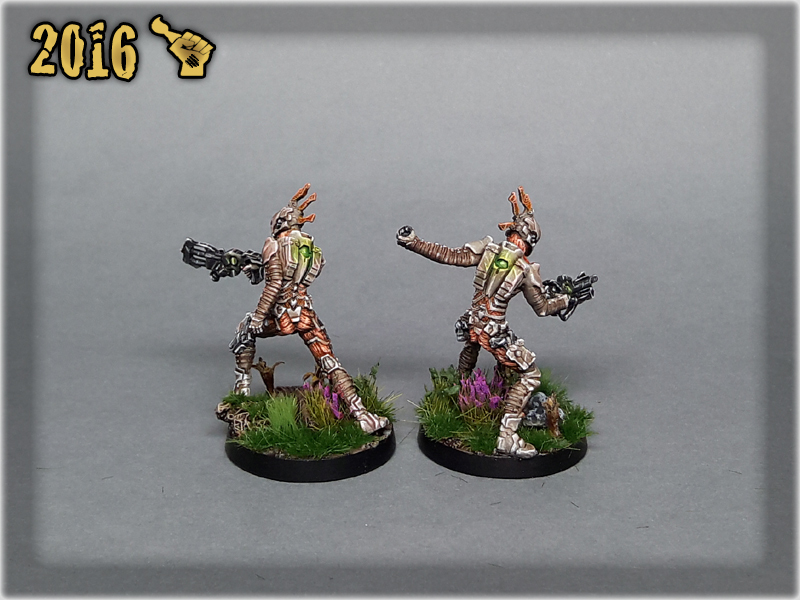 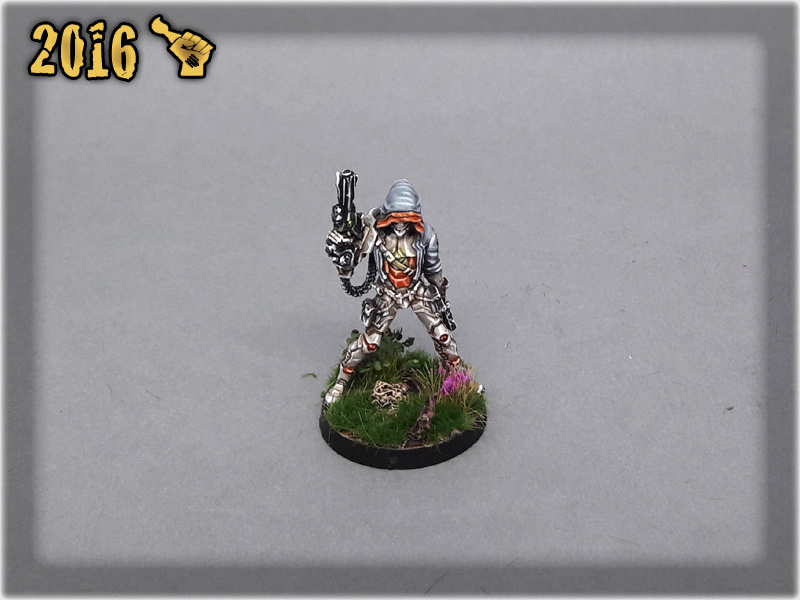 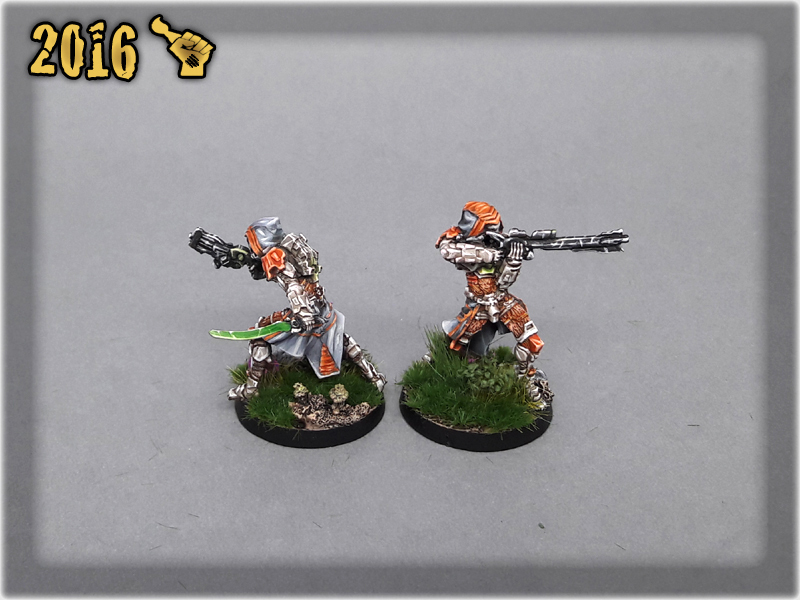 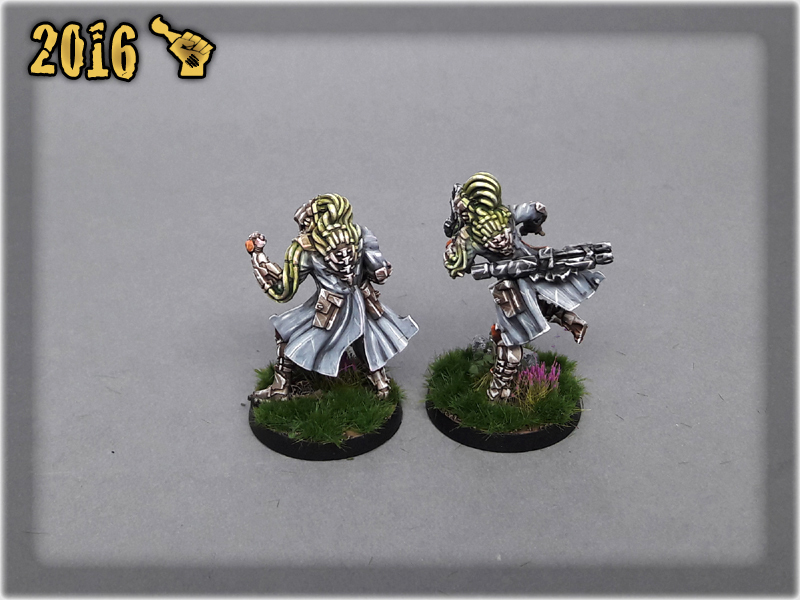 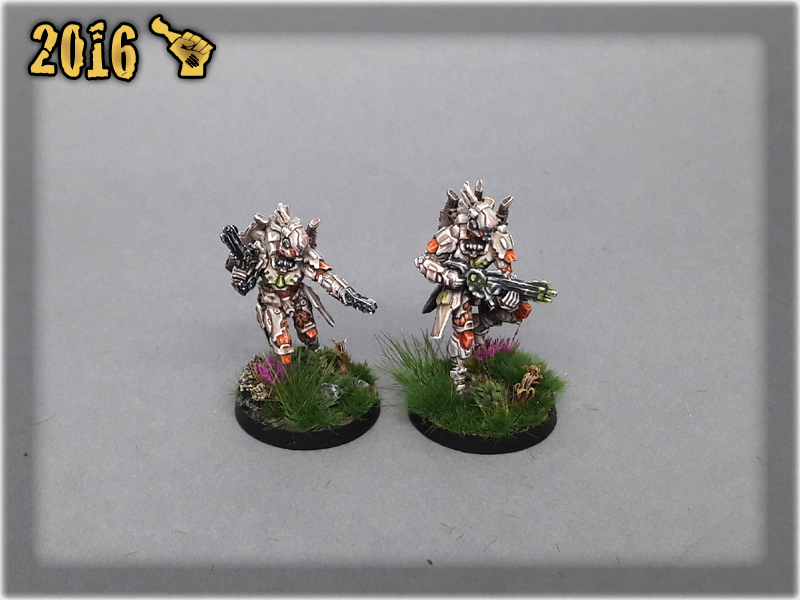 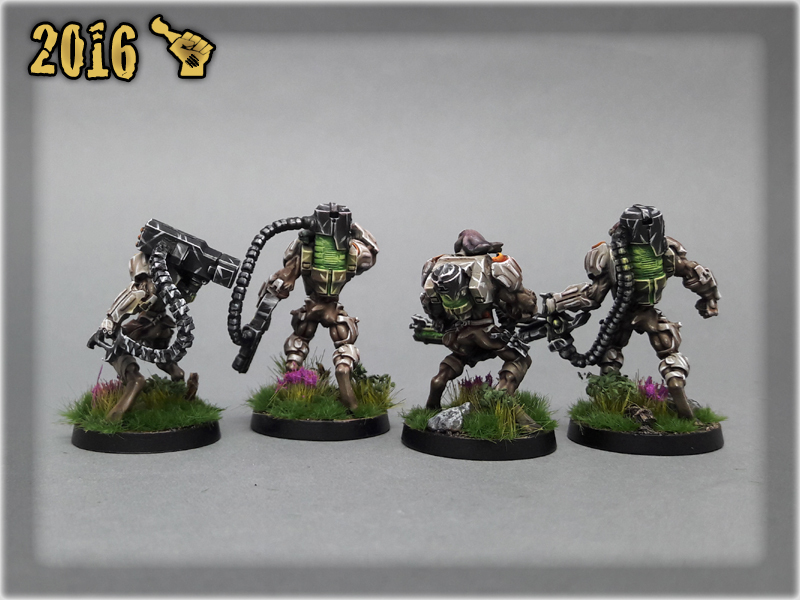 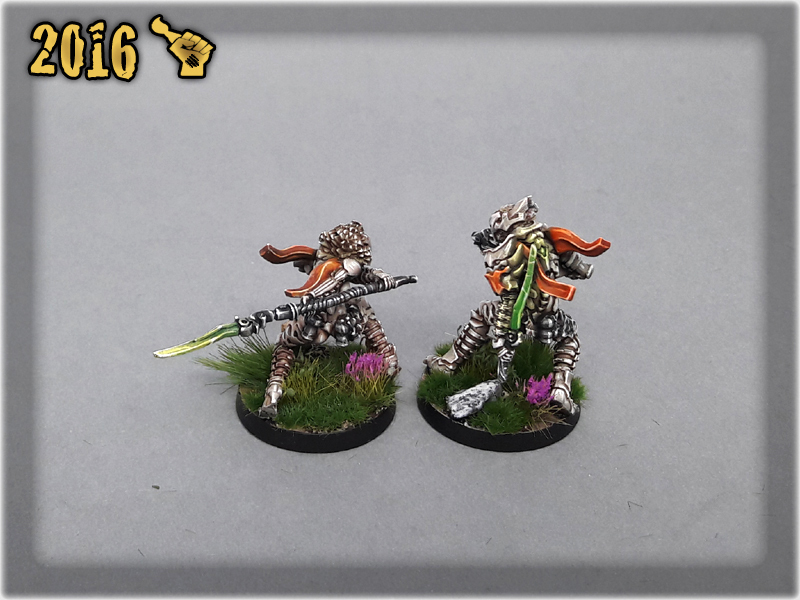 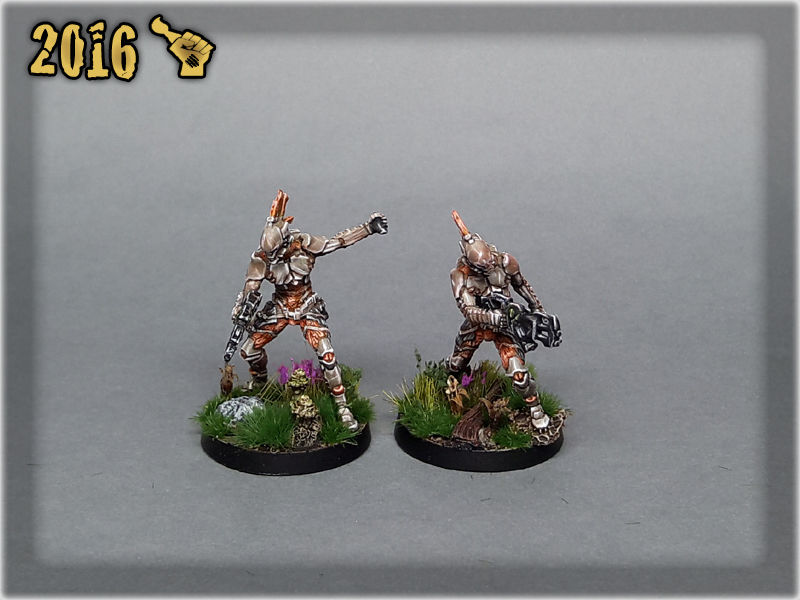 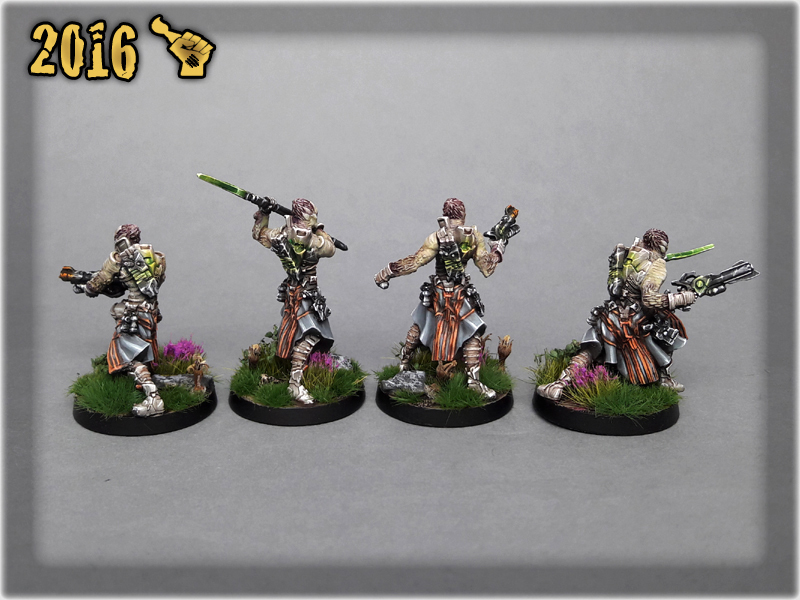 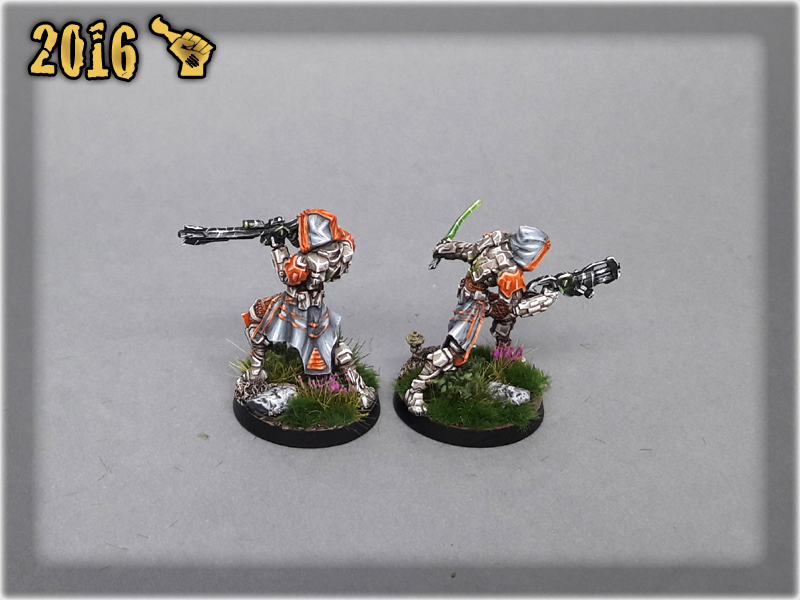 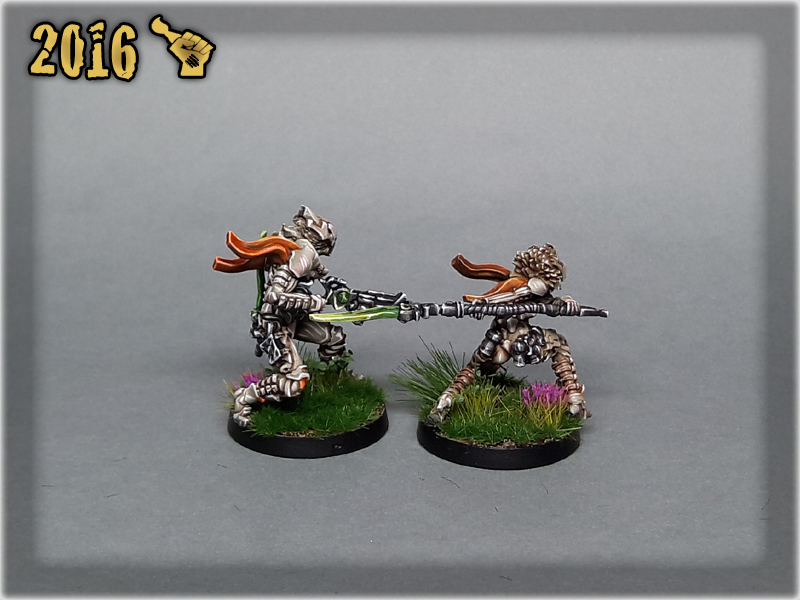 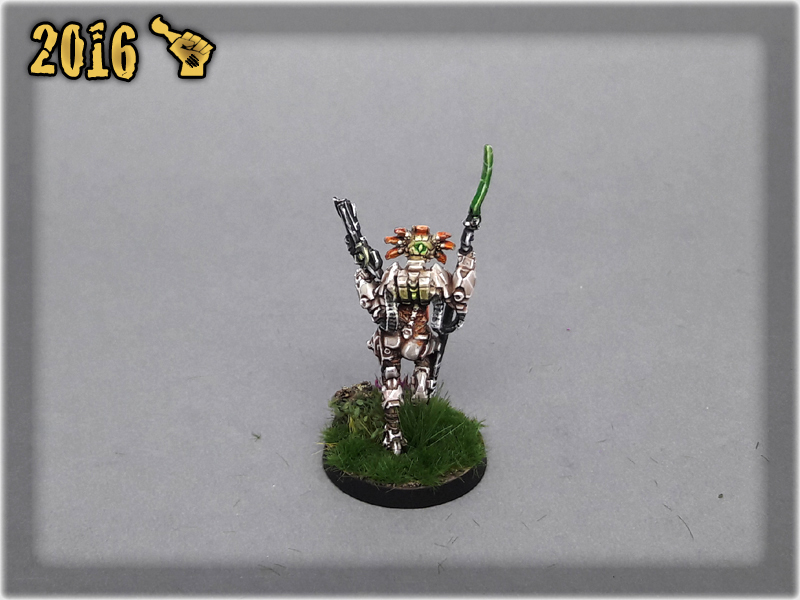 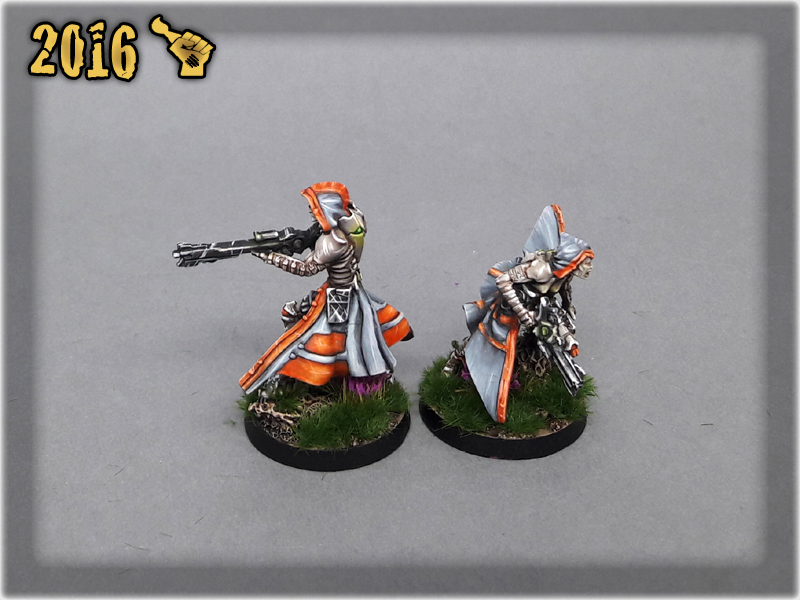 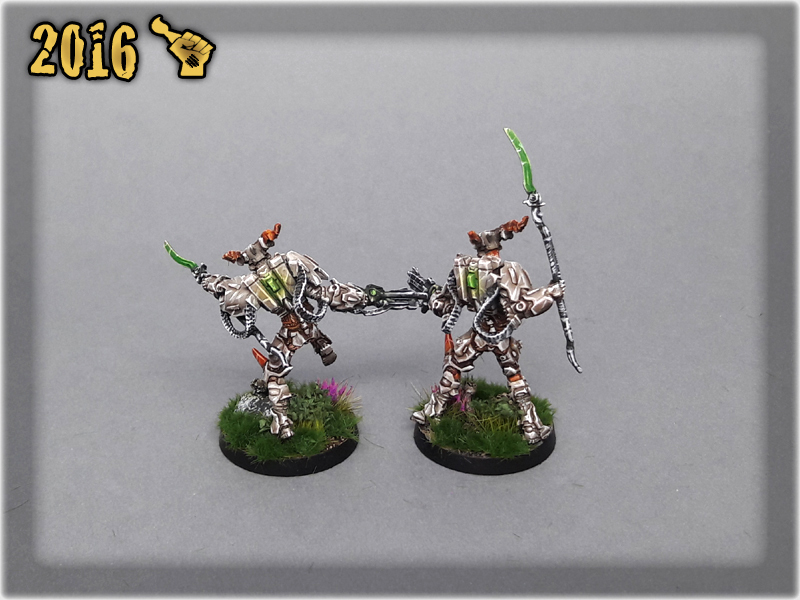 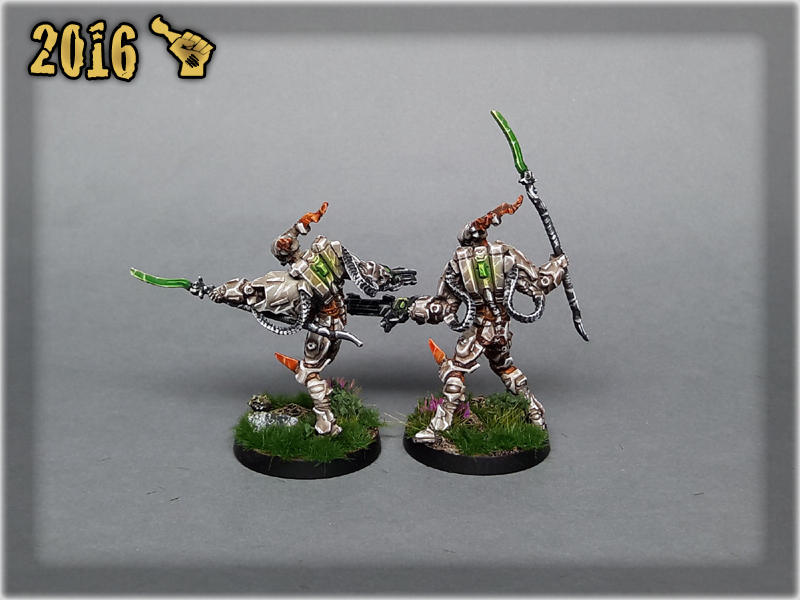 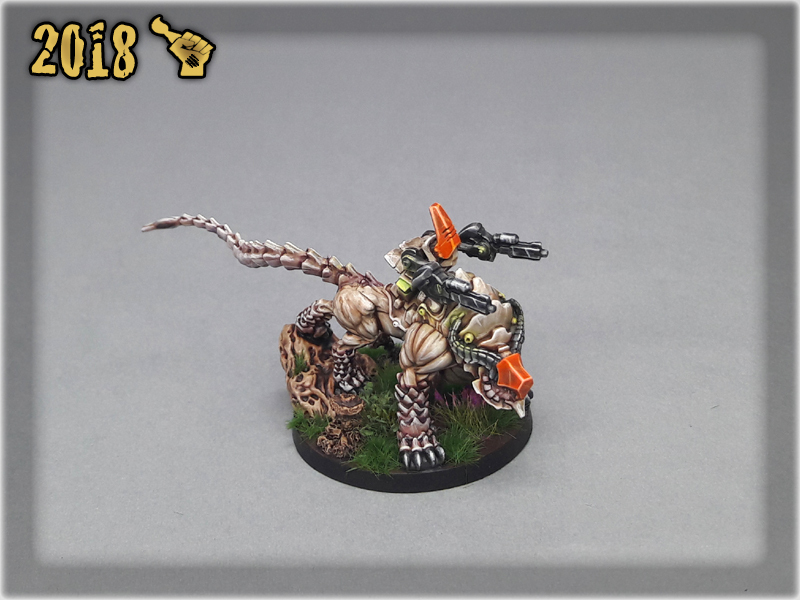 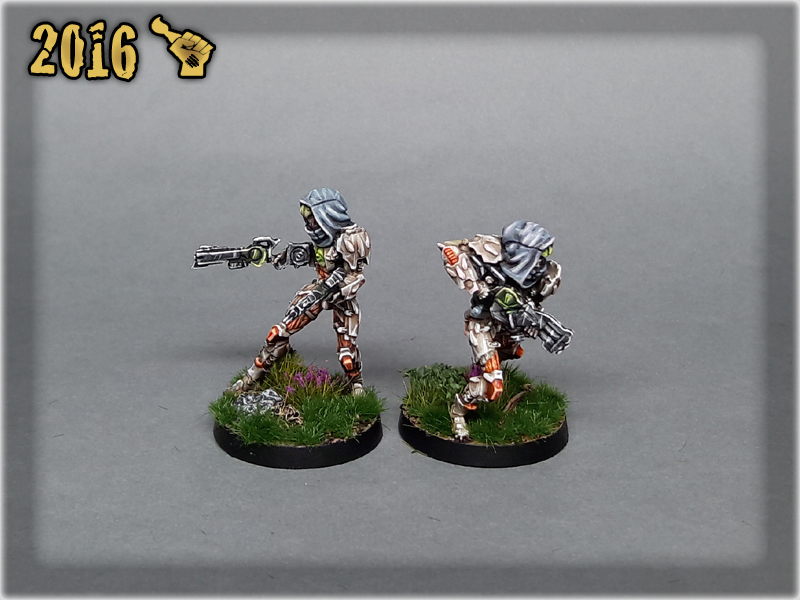 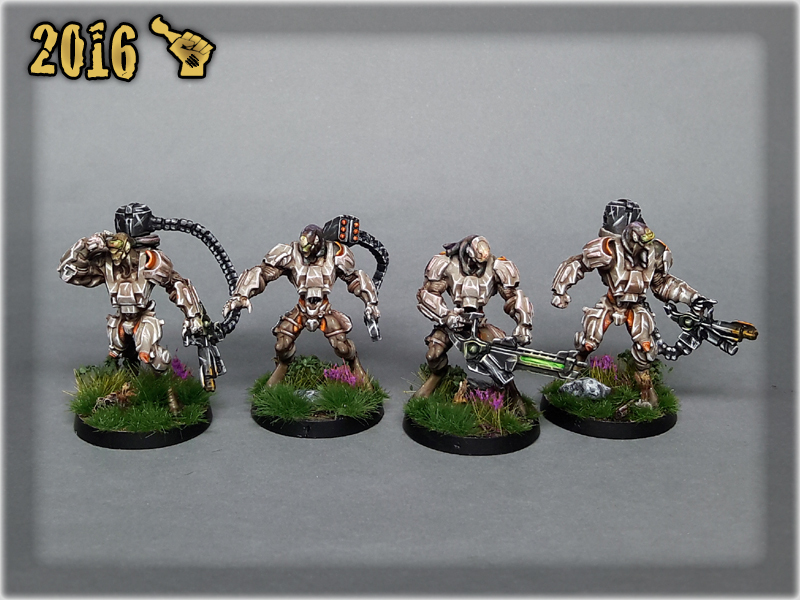 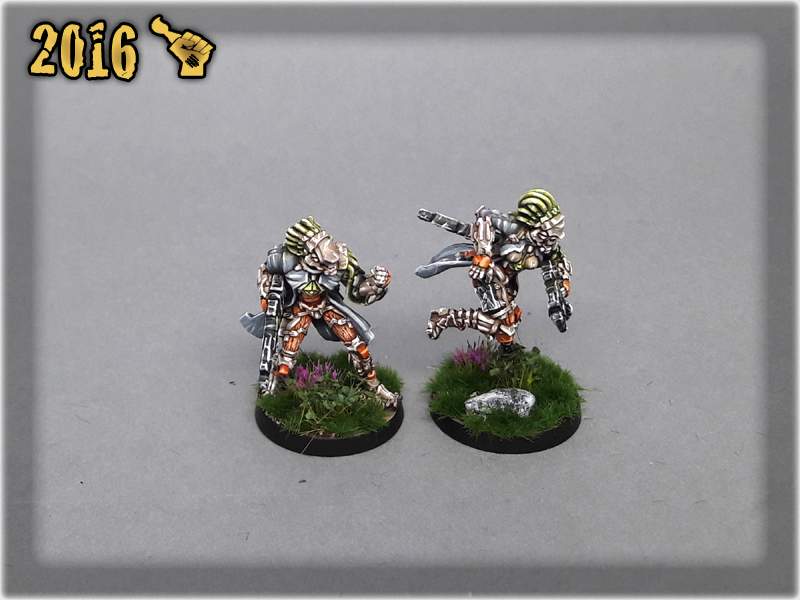 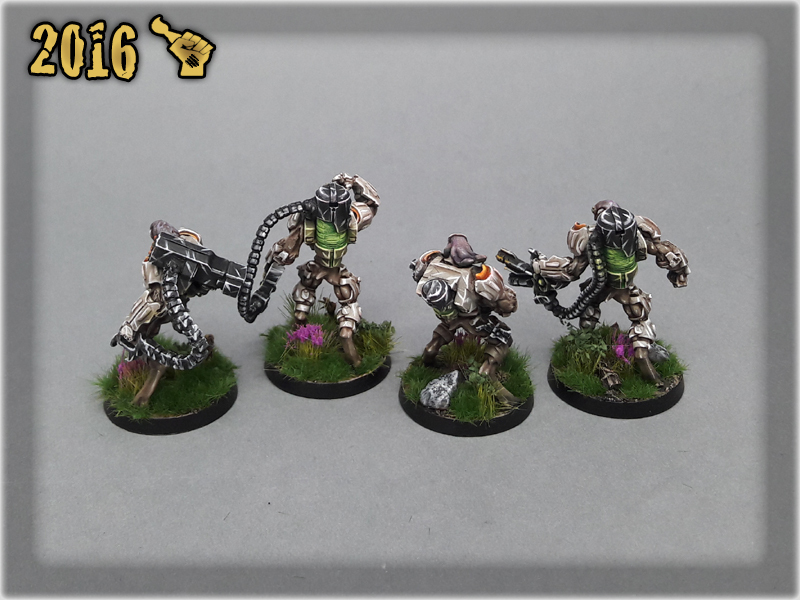 Starting at 10th of September with bare metal miniatures and progressing in groups – this TOHAA army was painted in approximately fourty days. 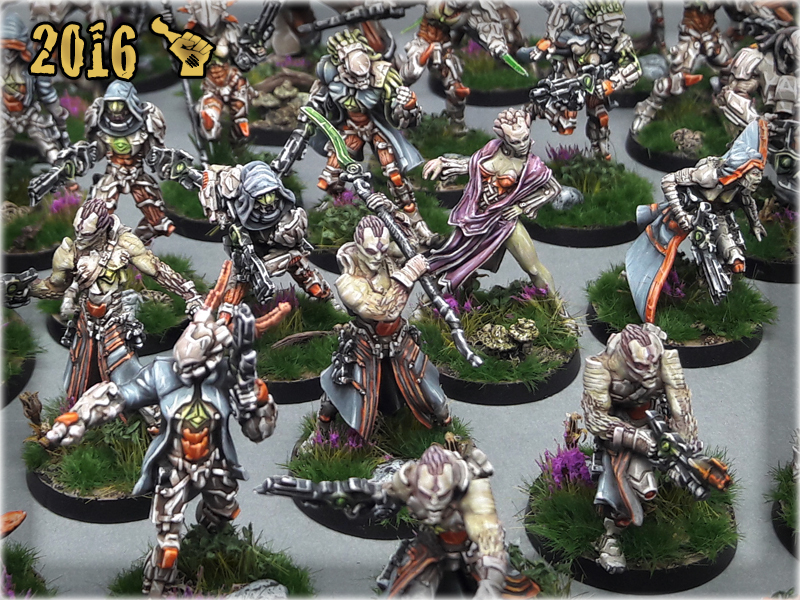 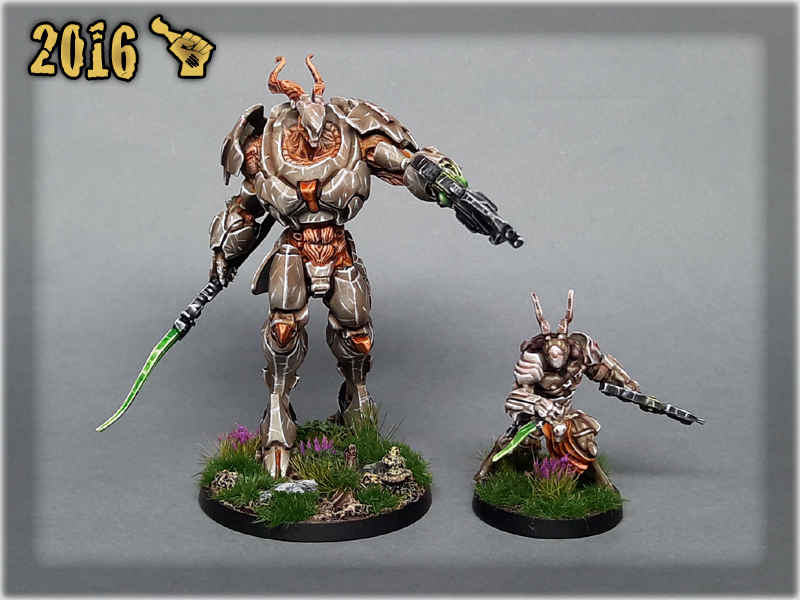 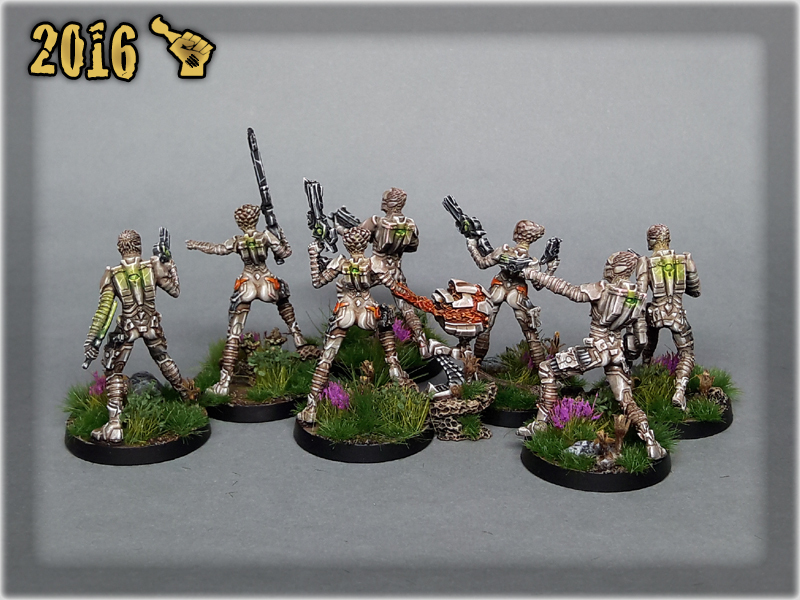 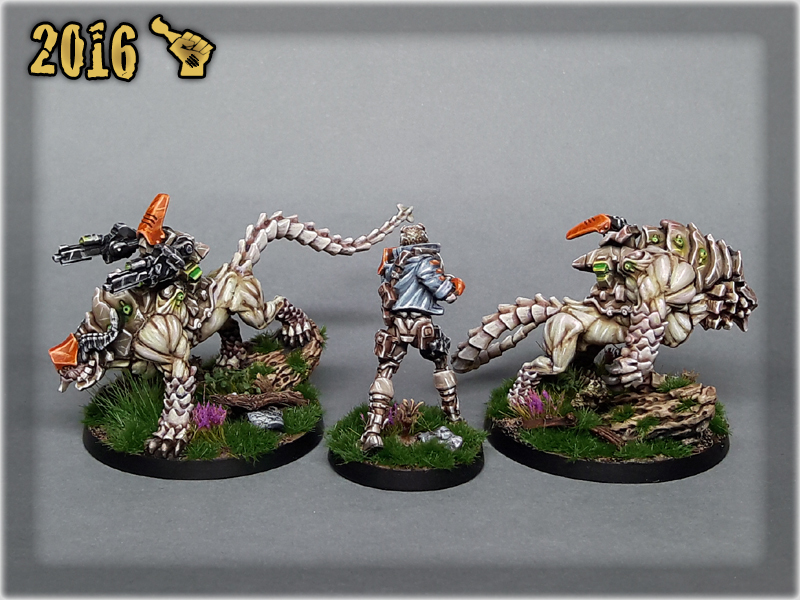 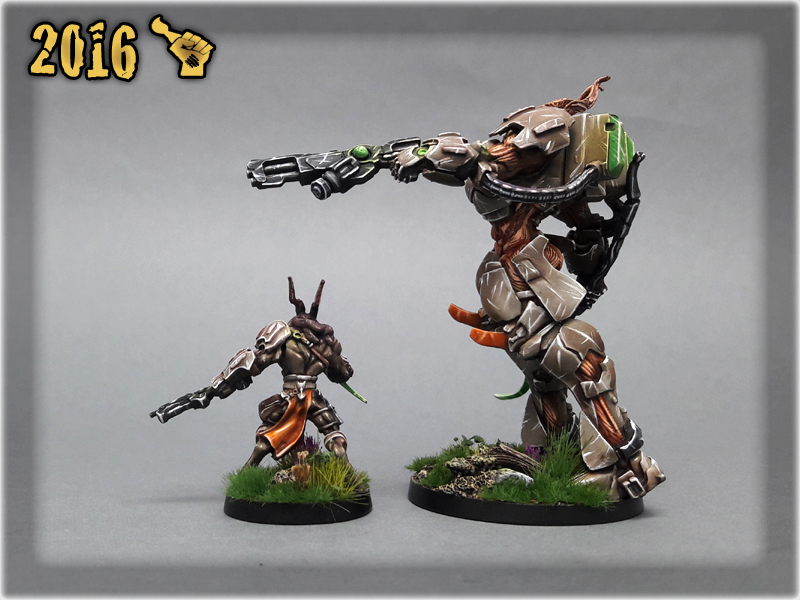 The key point of this commission was to prepare and then preshade all the miniatures in one go. 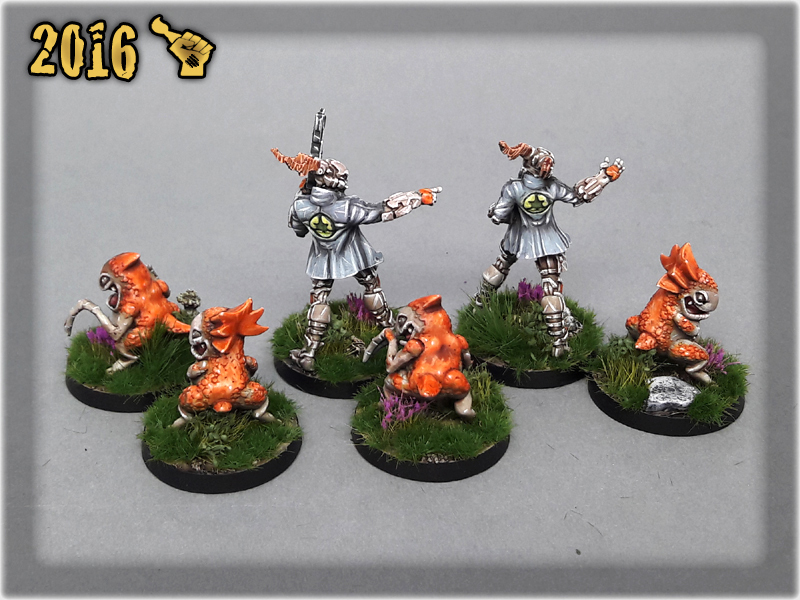 After that, due to all miniatures being ‘Witness me!’ lvl 5, I moved slowly painting in groups of up to seven miniatures at one time. 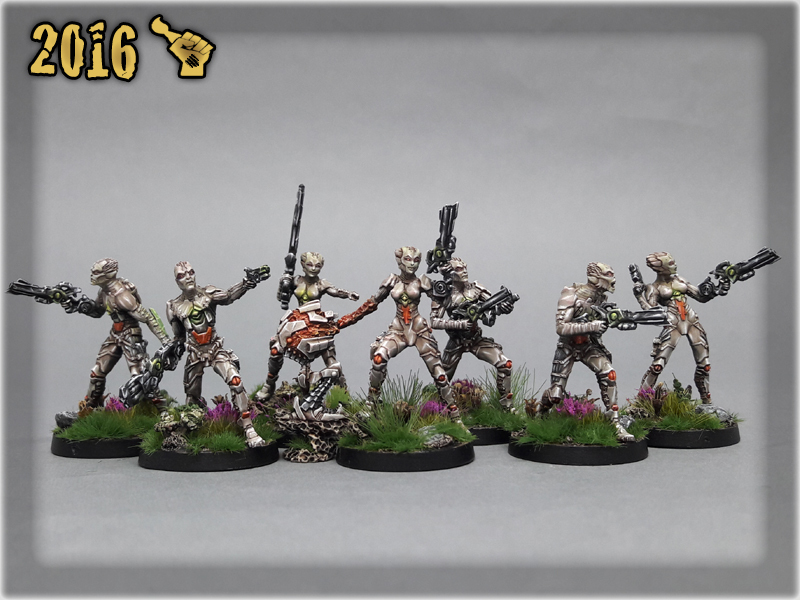 Sometimes I took a break to paint something else, then going back to TOHAA and starting another group. 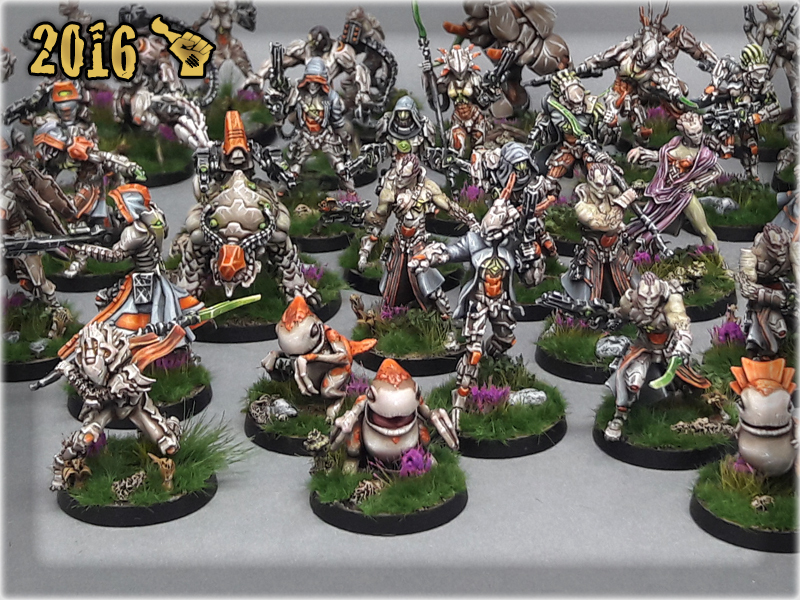 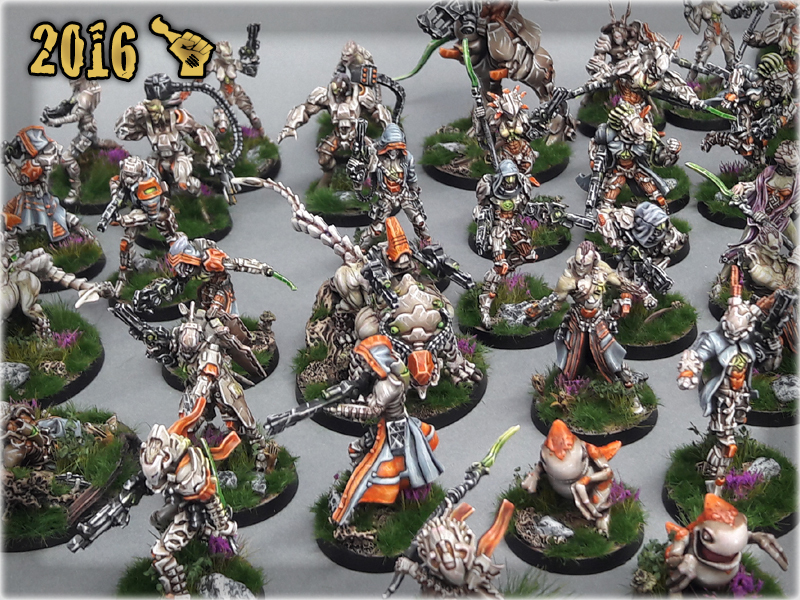 I had insane amount of fun with this army and it certainly is the best thin I’ve painted throughout this year. 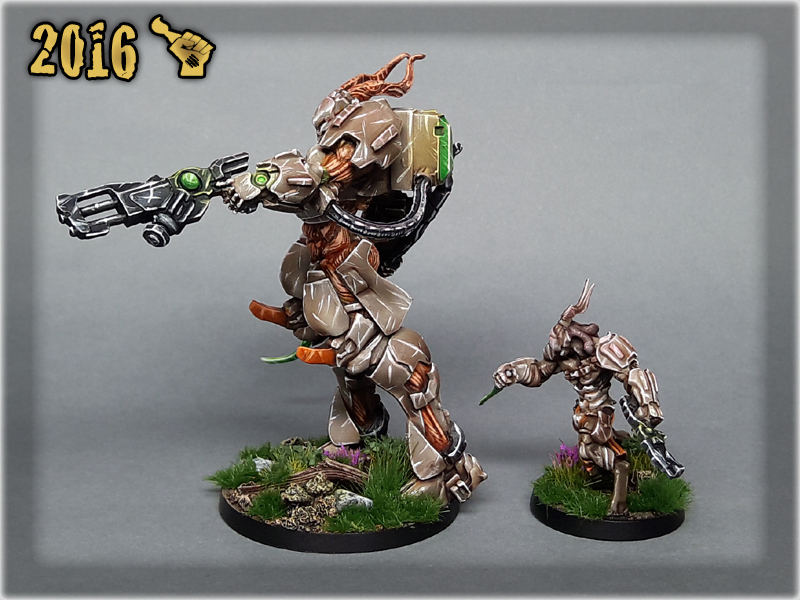 I only with I was more skilled with the camera to show you full extent of this paint job.